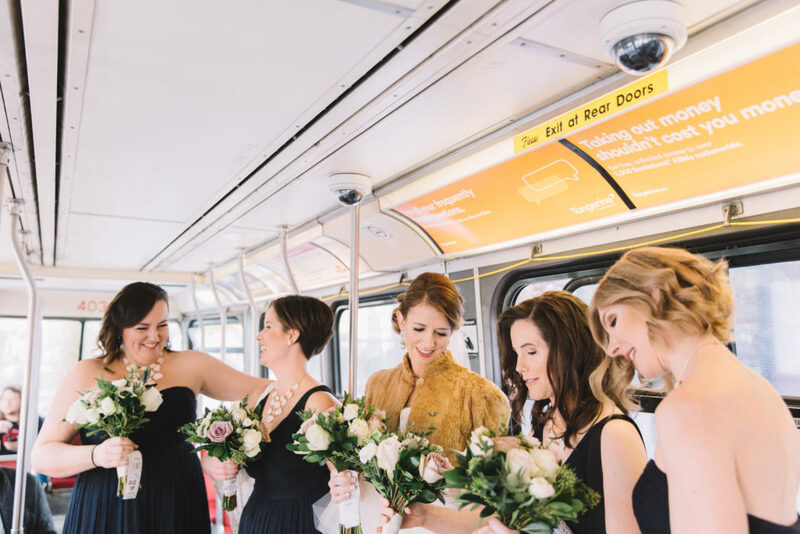 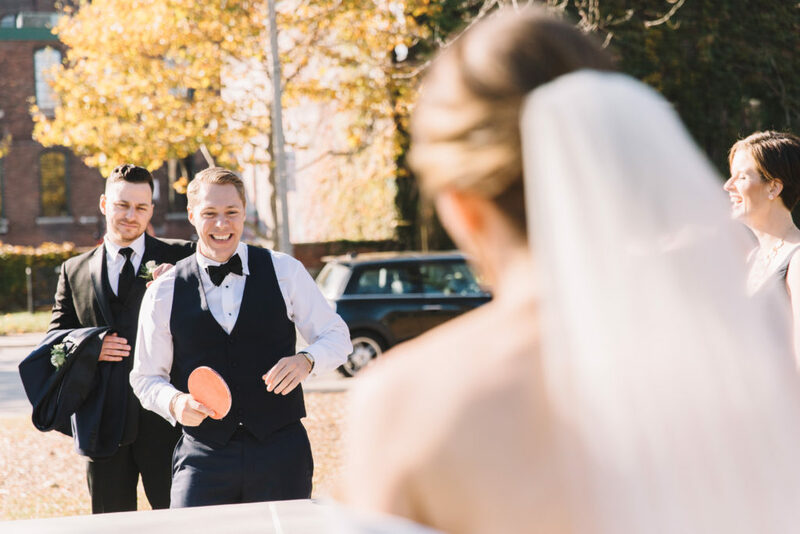 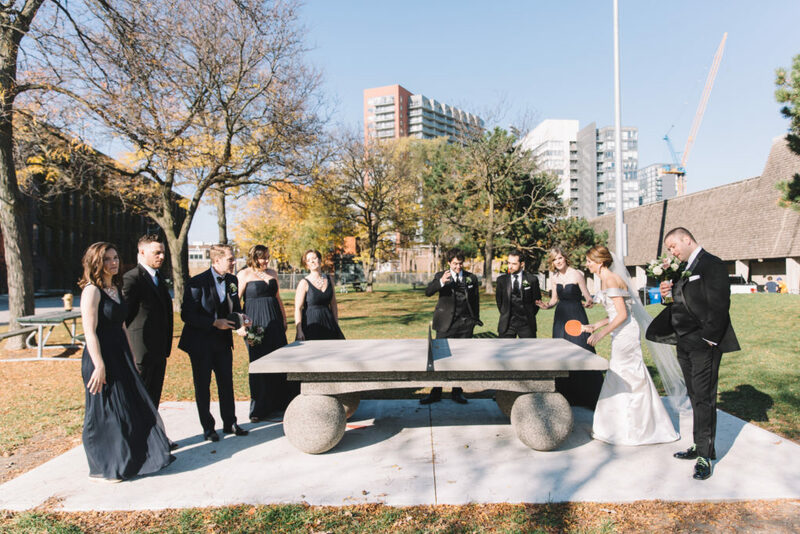 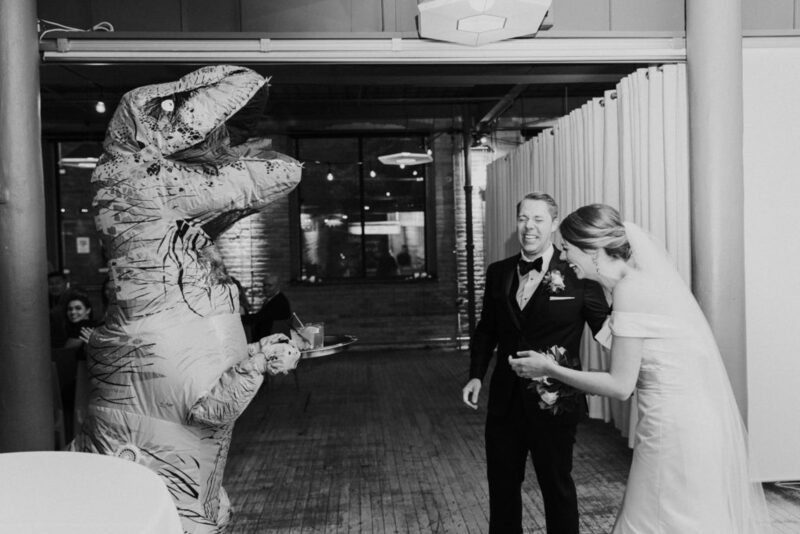 When a wedding combines street car rides, ping pong, and a blow up dinosaur costume, you know it’s going to be a pretty fun day! 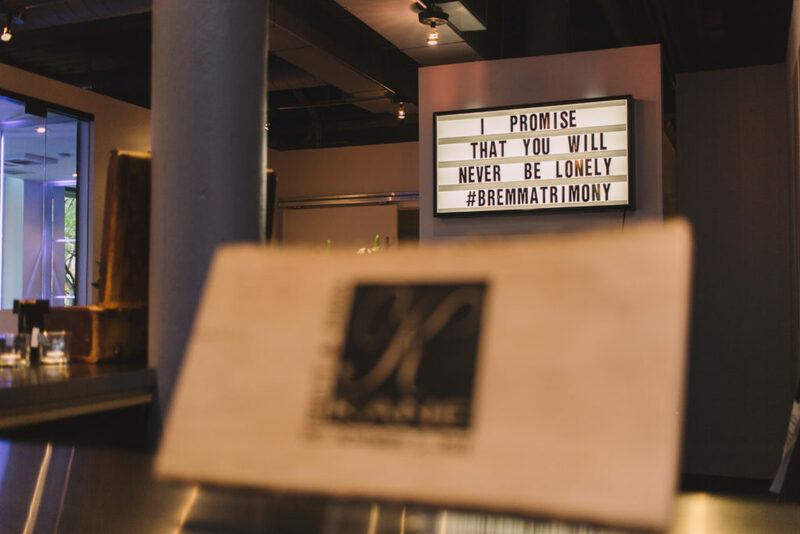 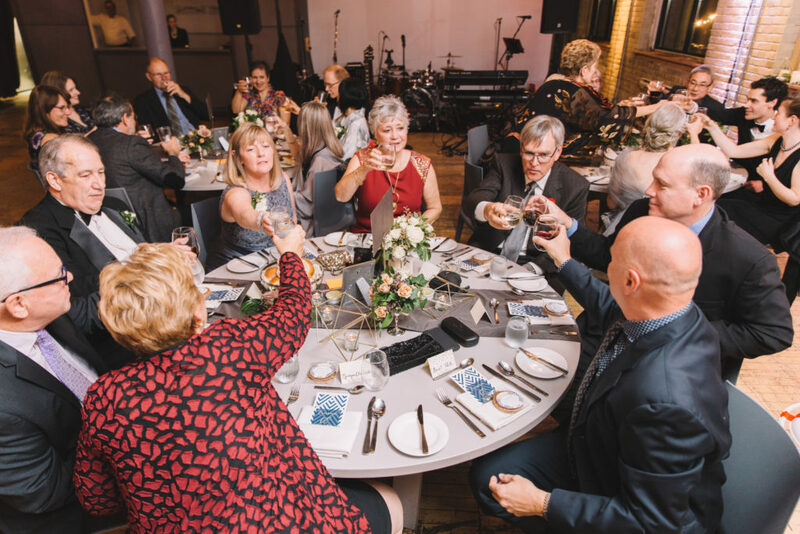 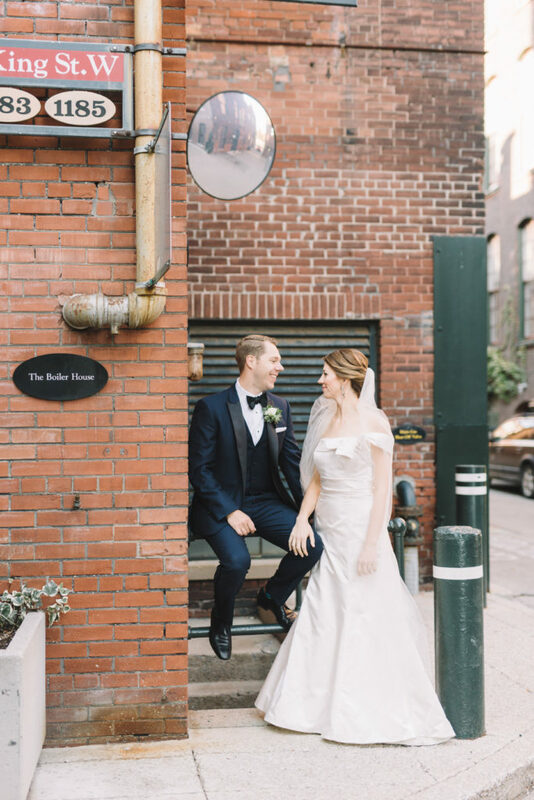 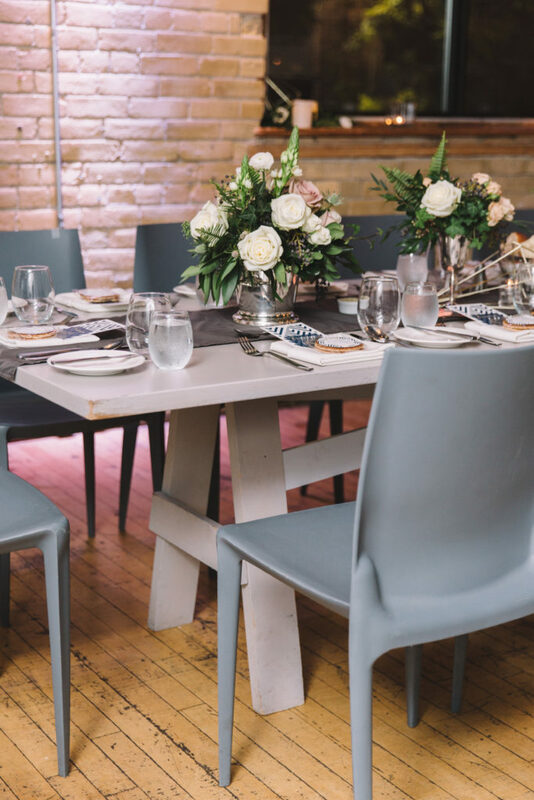 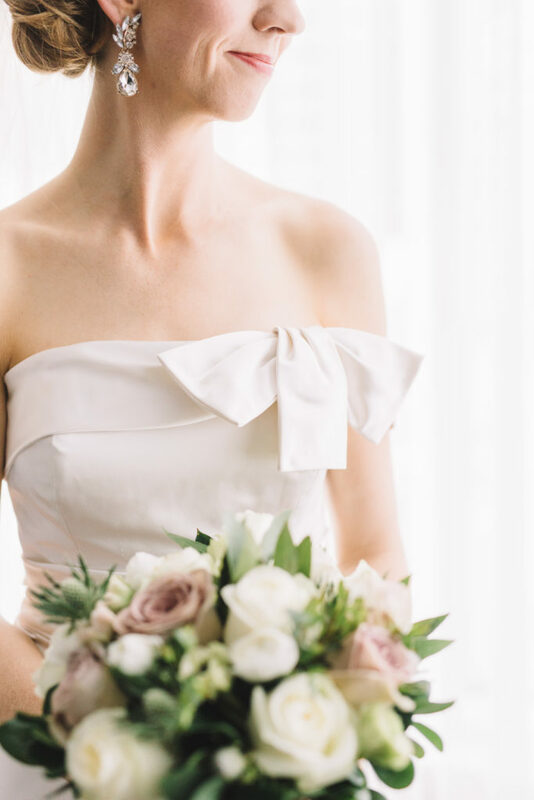 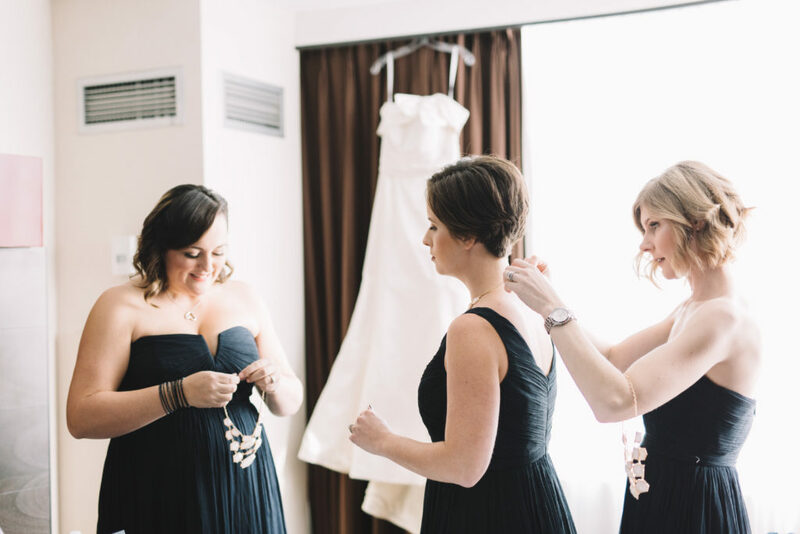 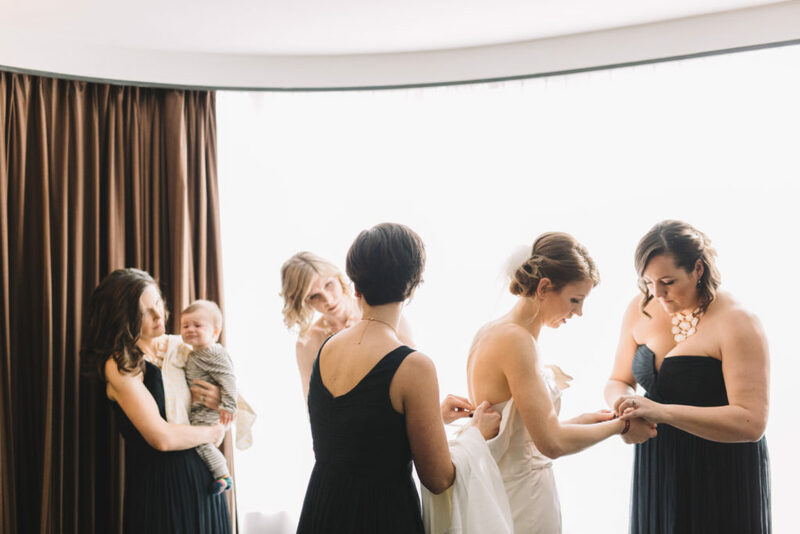 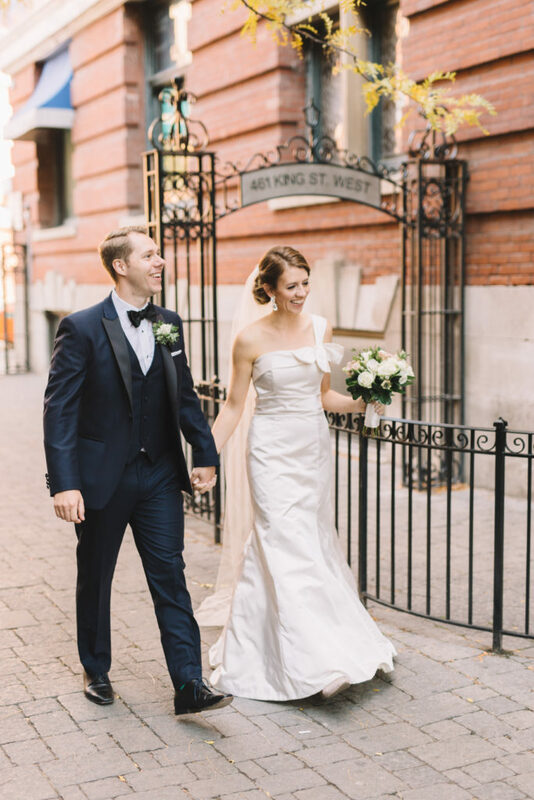 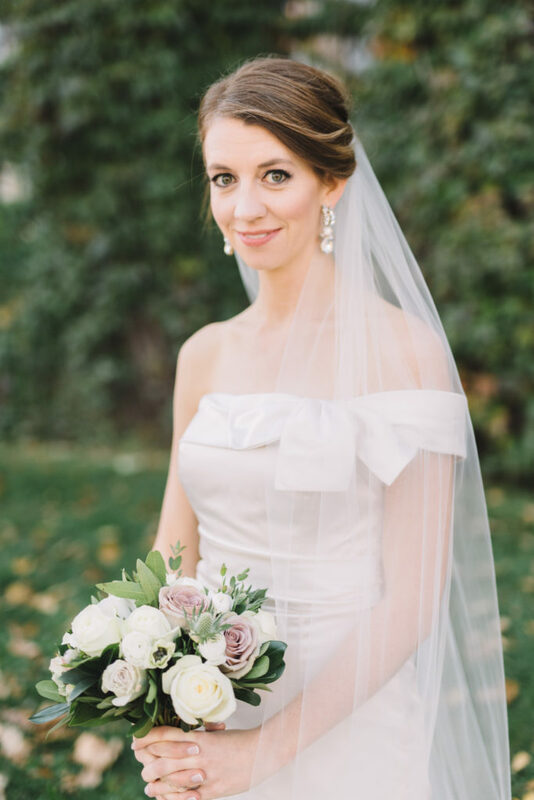 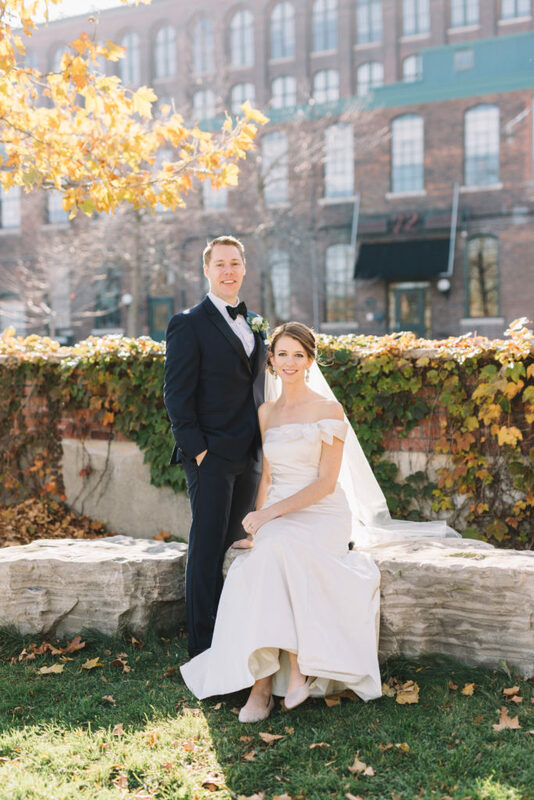 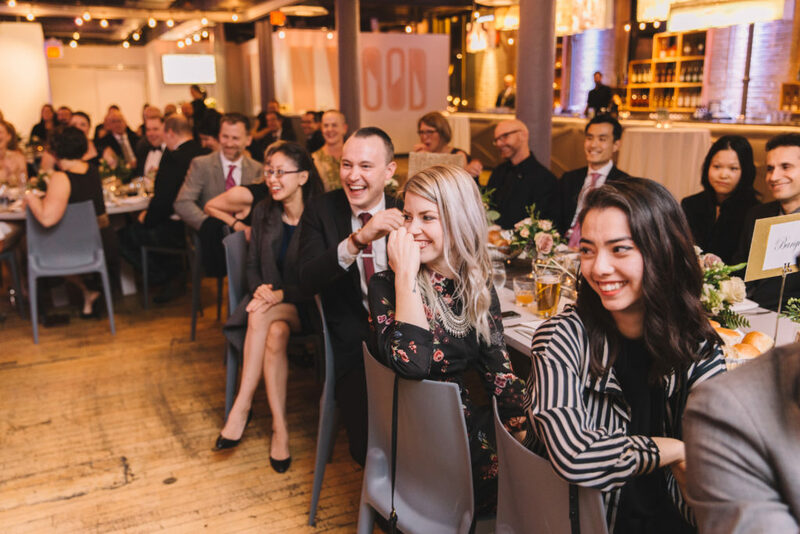 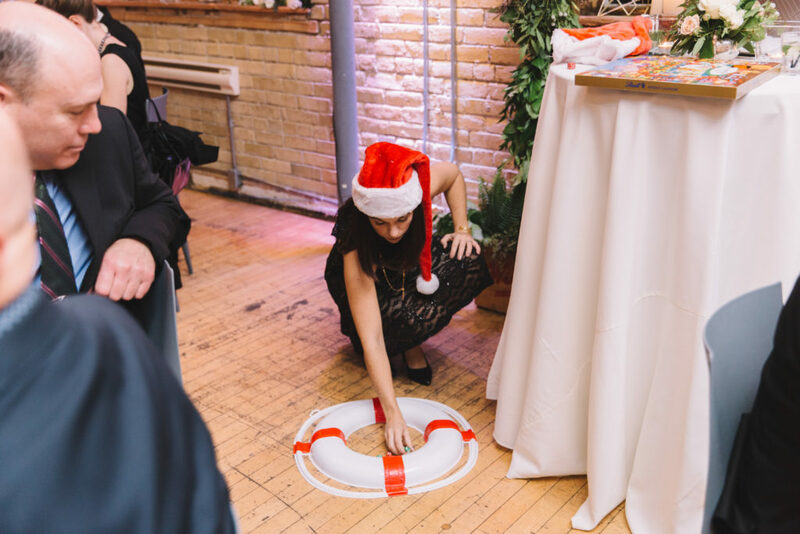 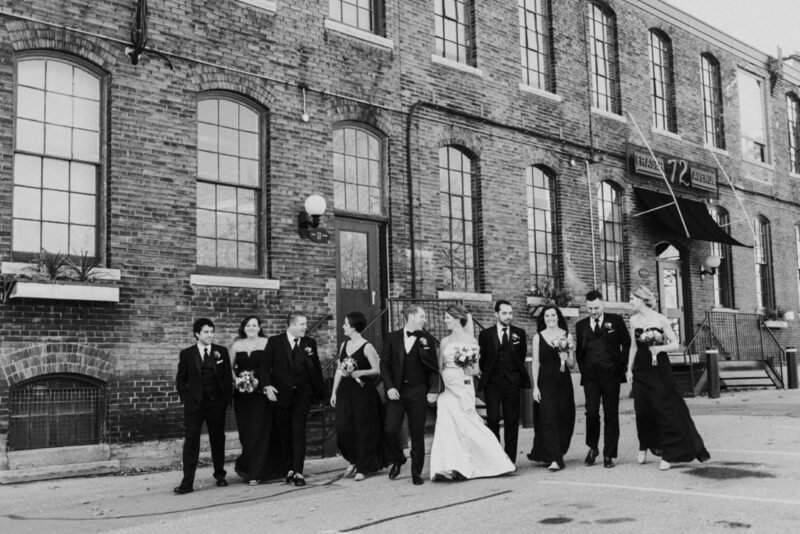 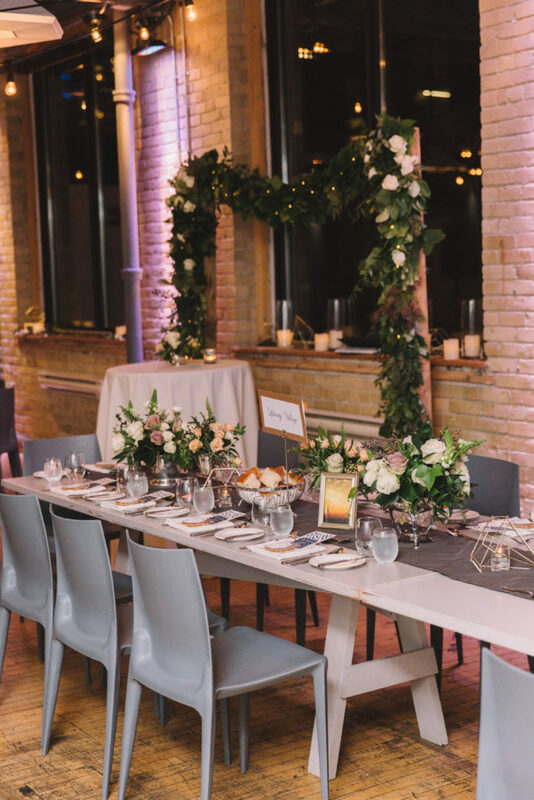 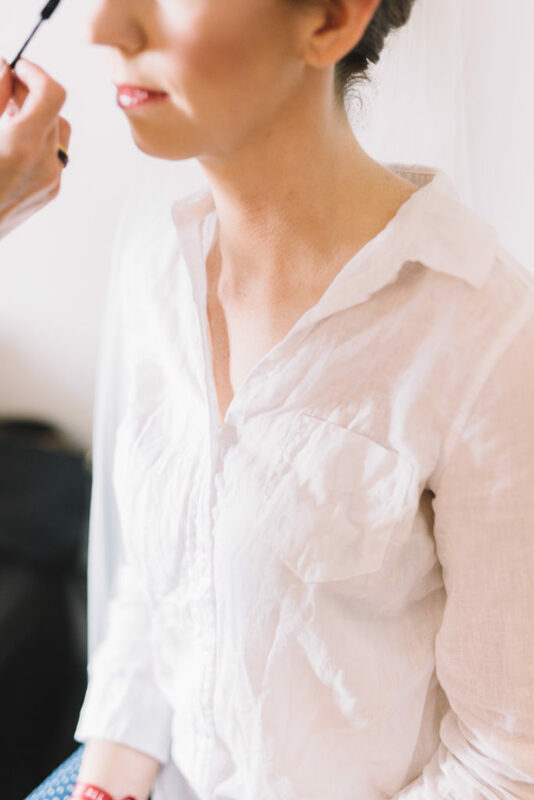 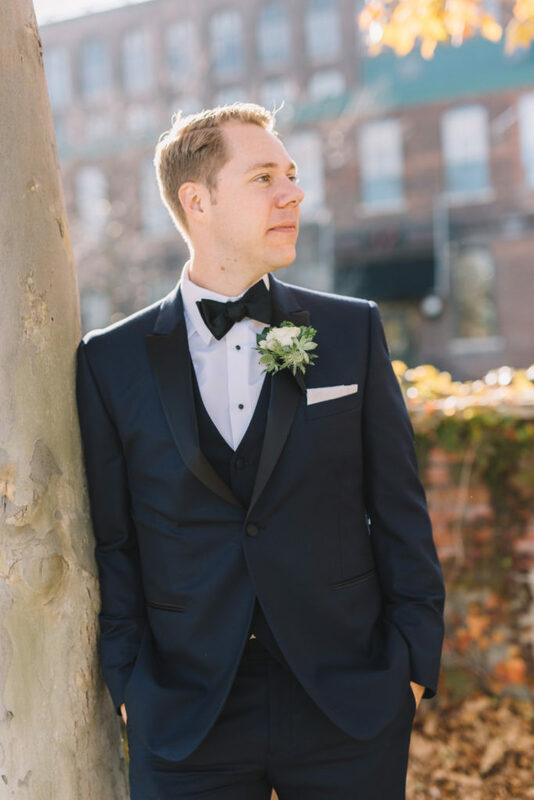 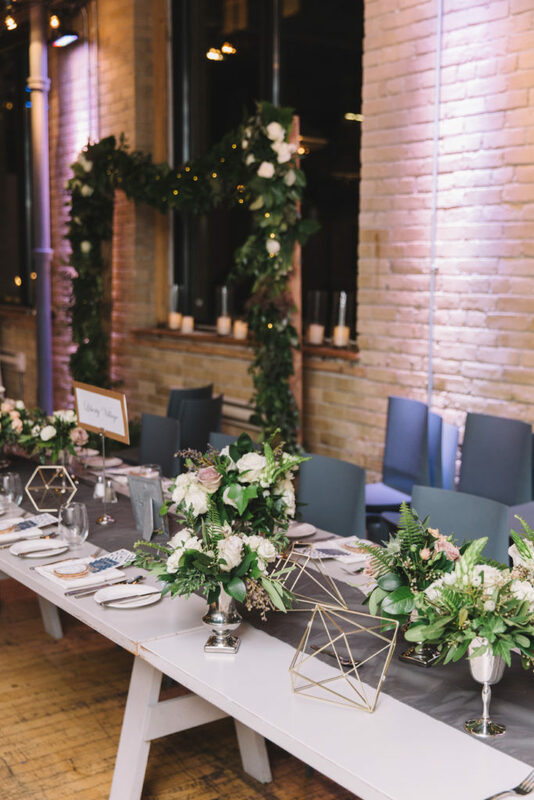 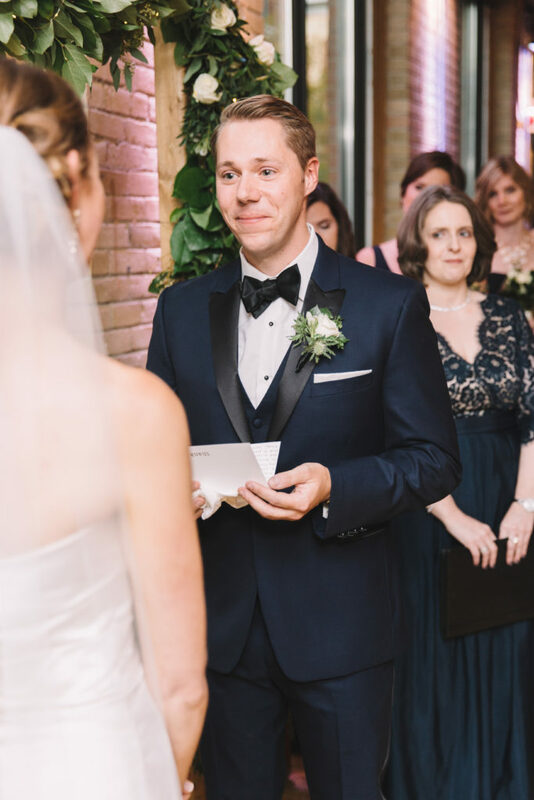 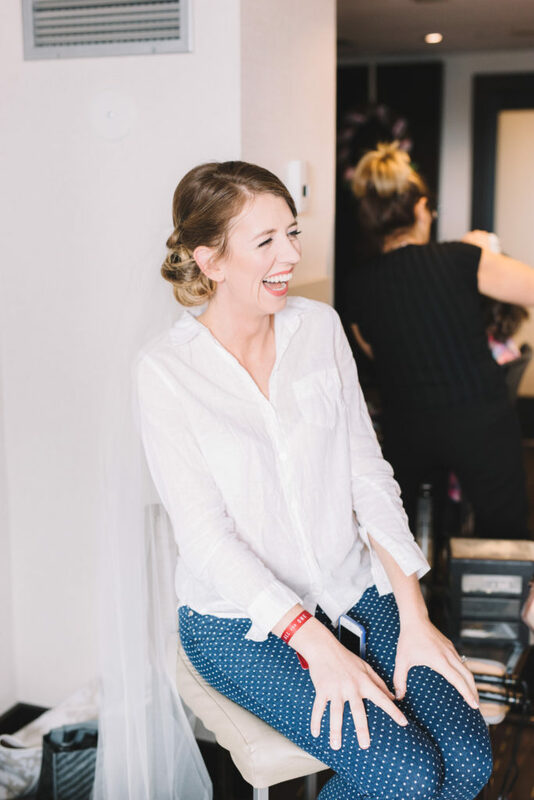 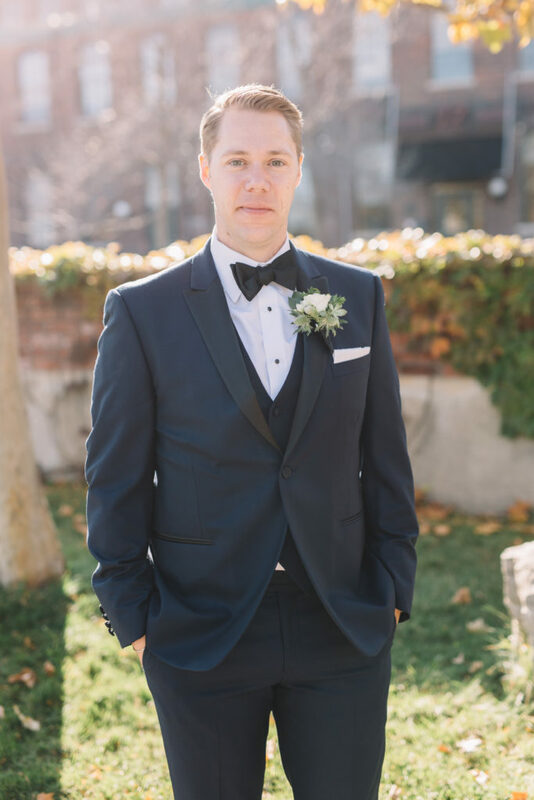 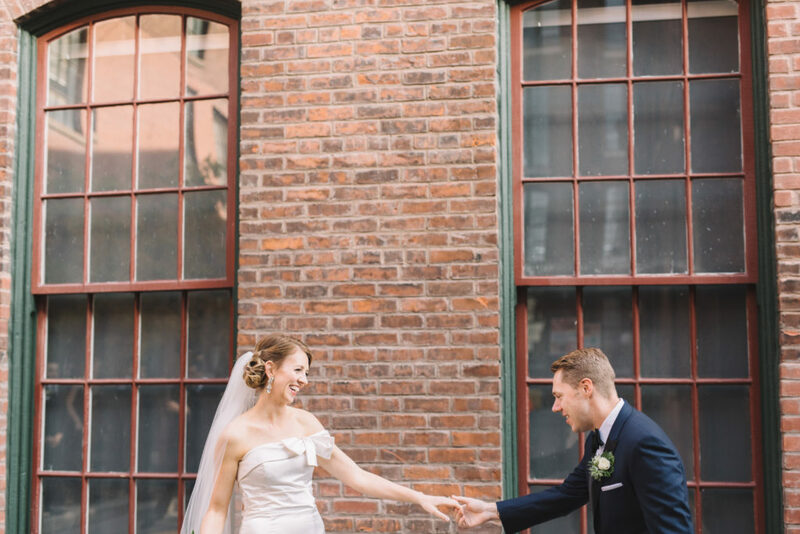 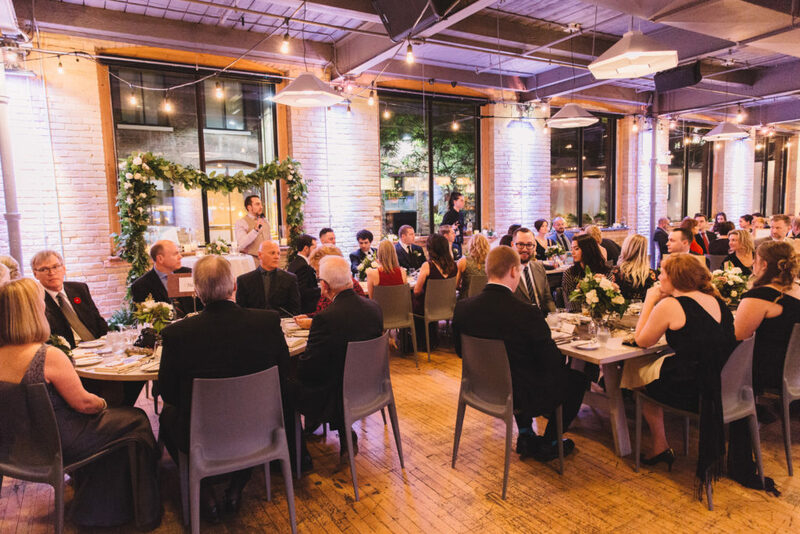 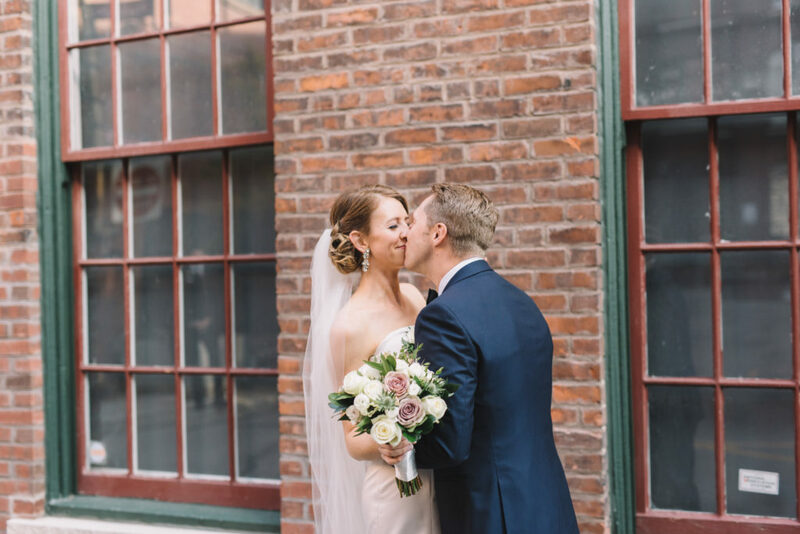 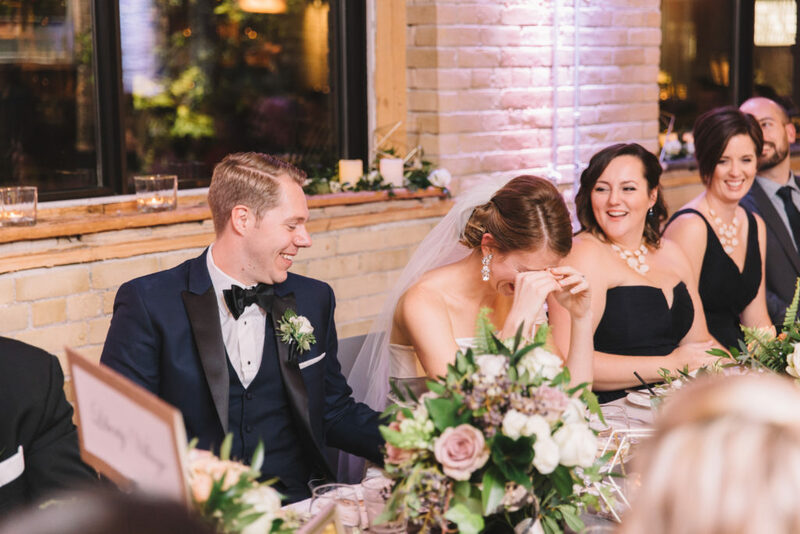 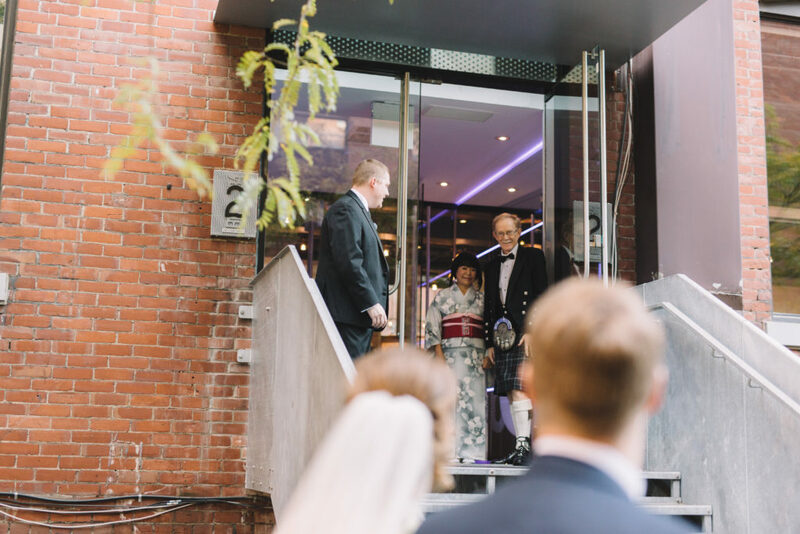 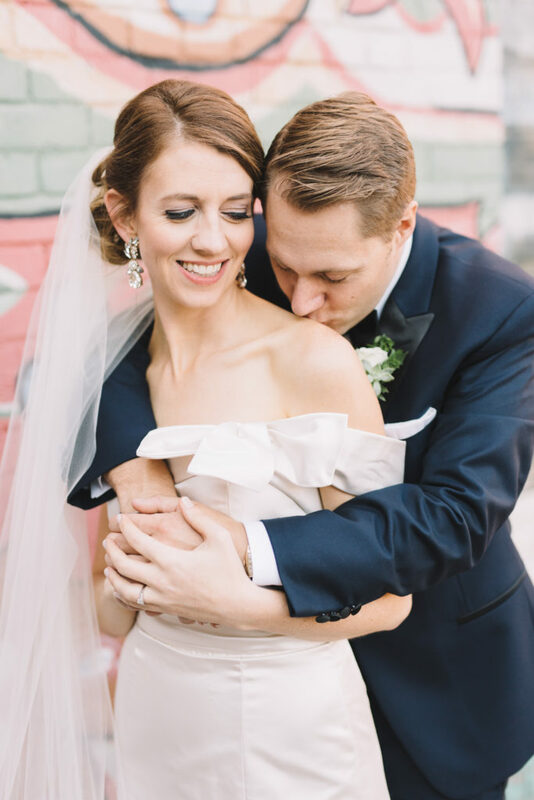 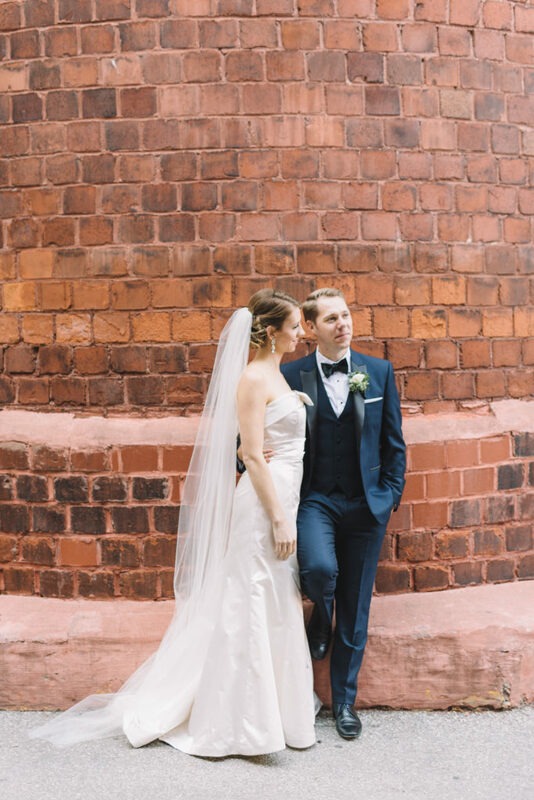 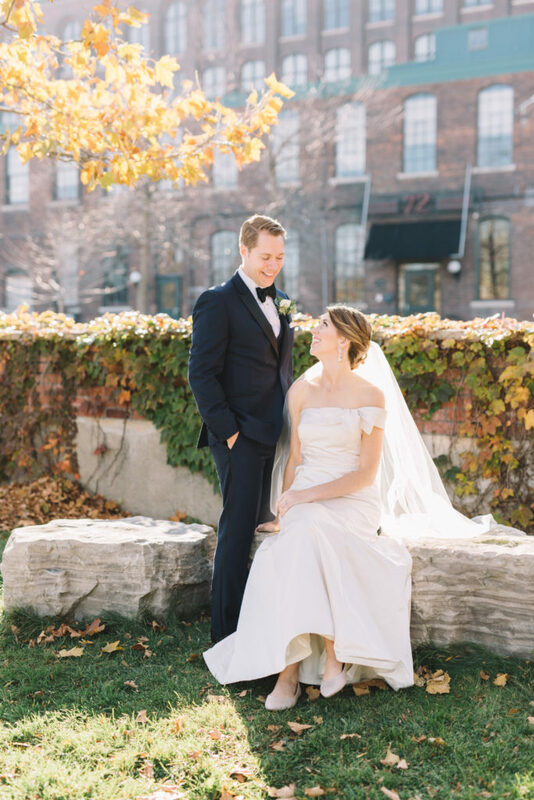 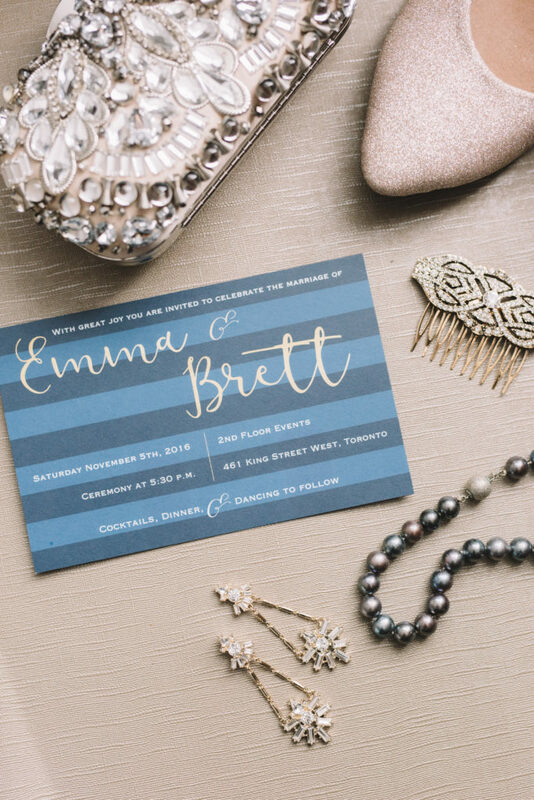 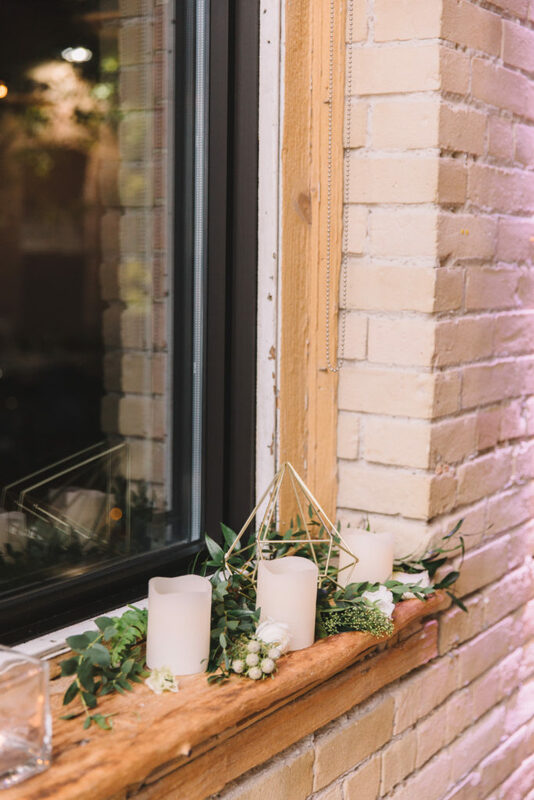 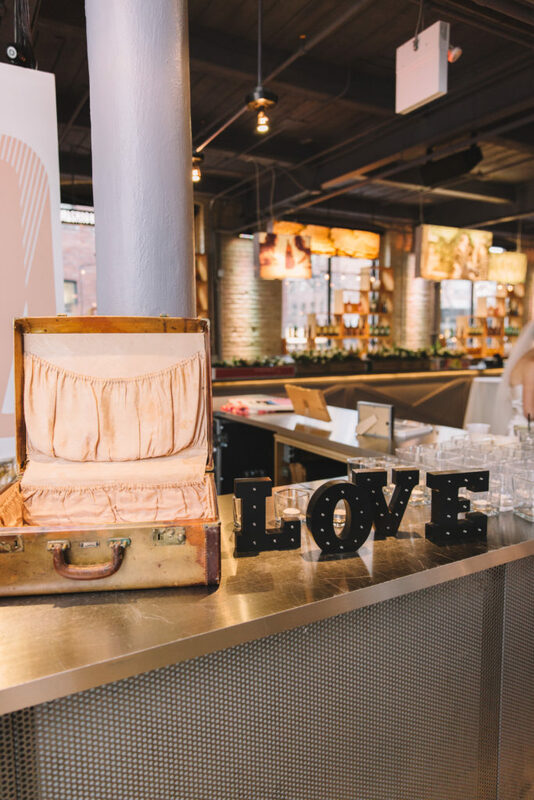 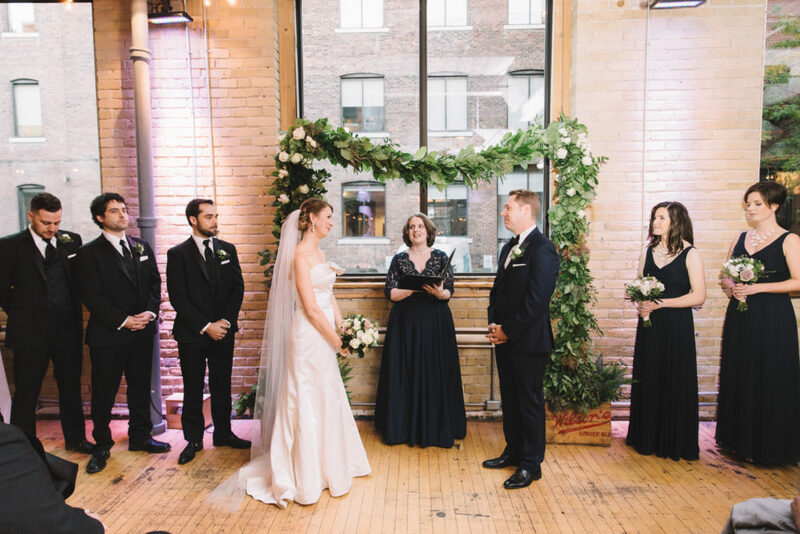 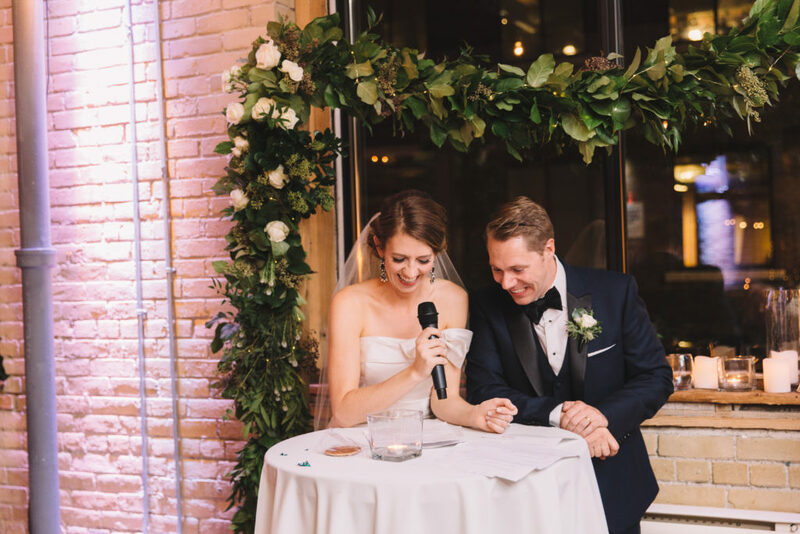 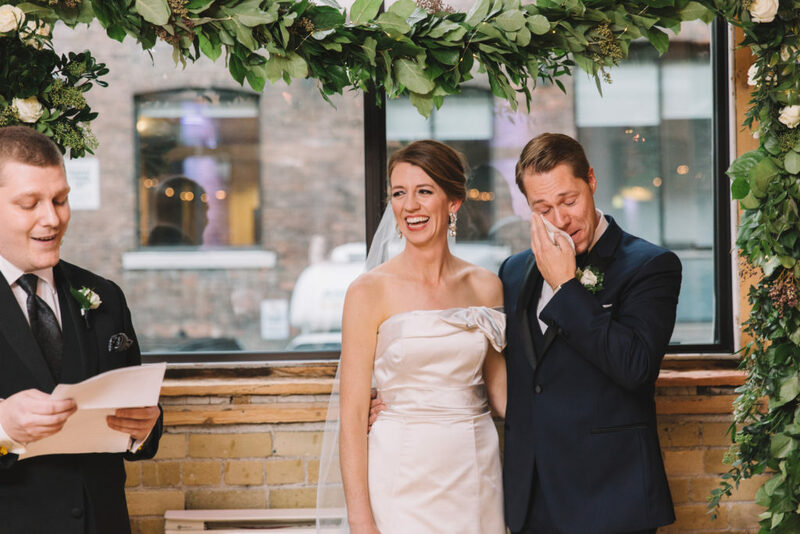 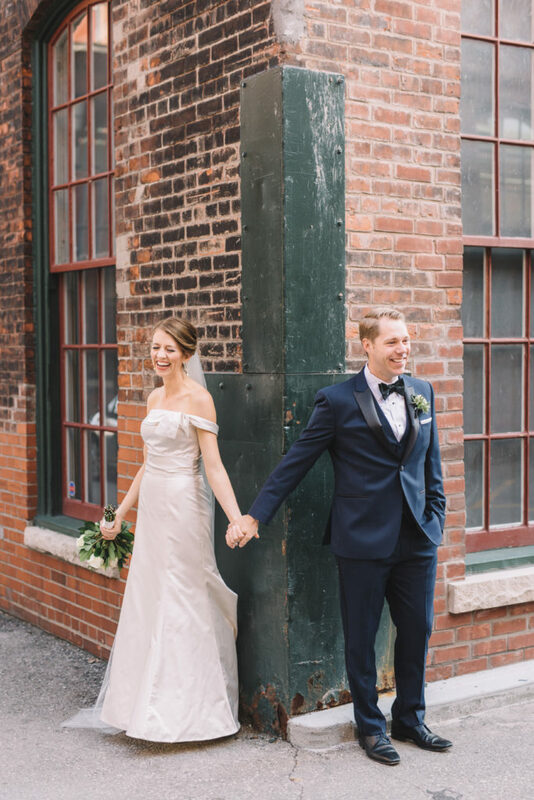 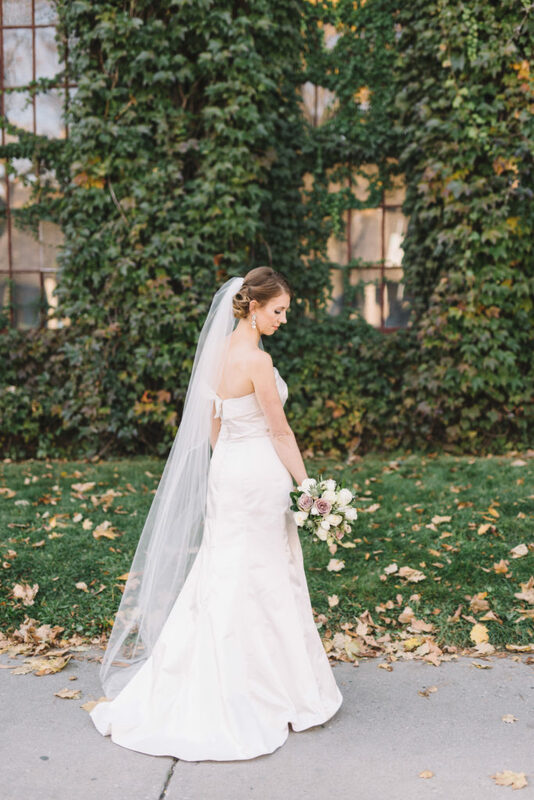 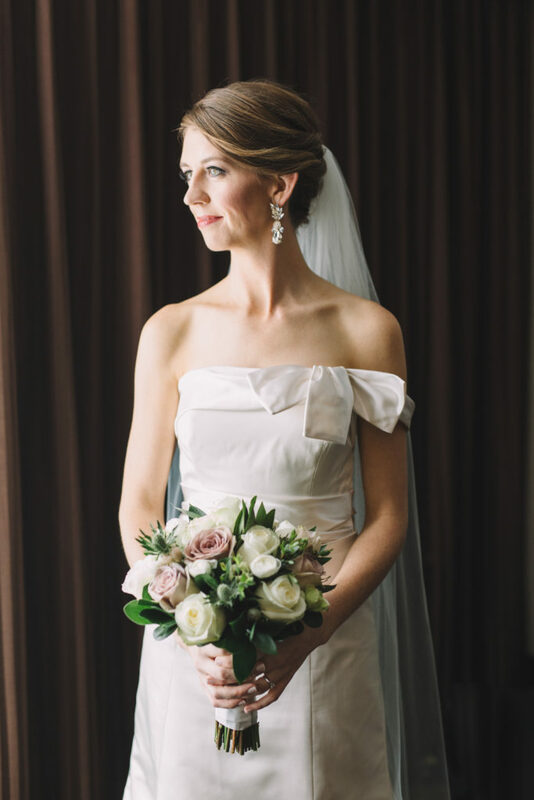 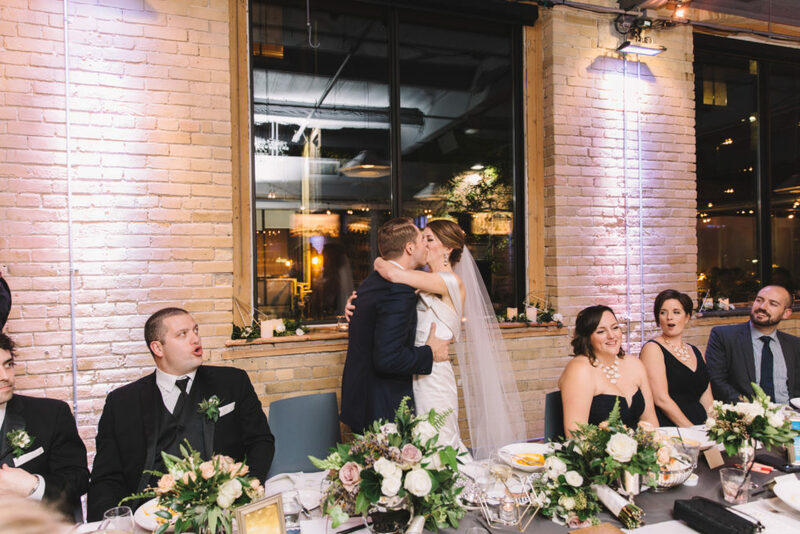 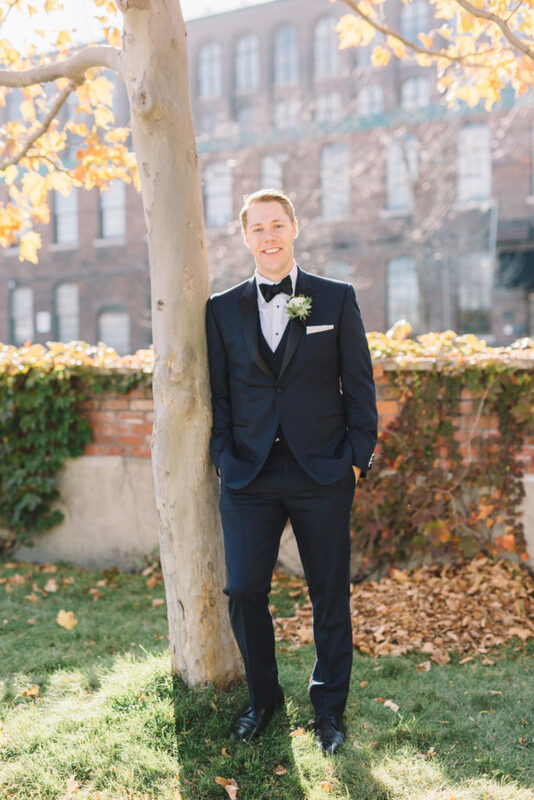 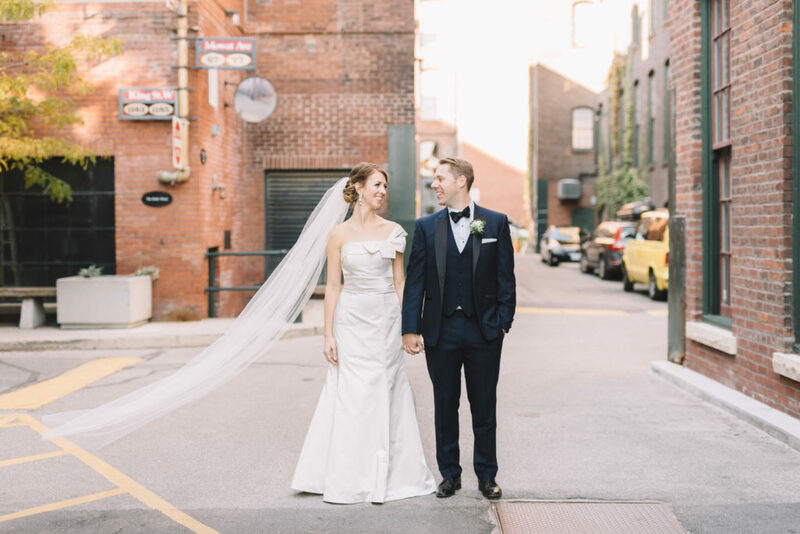 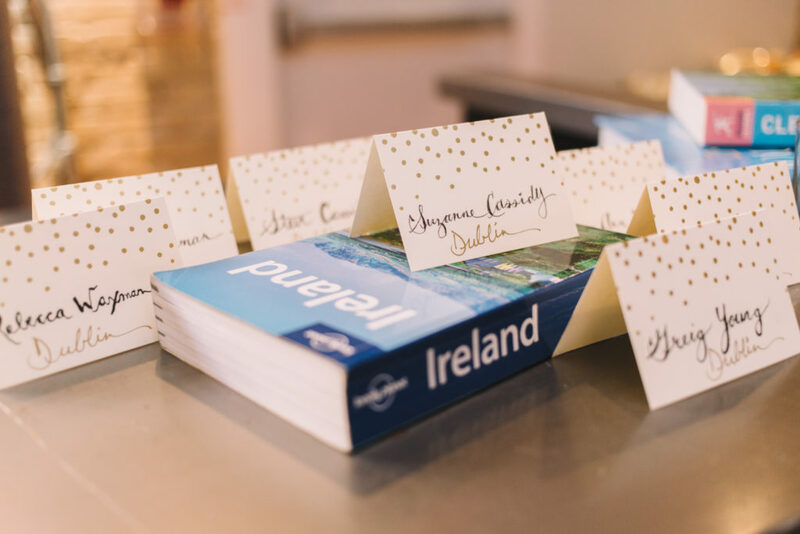 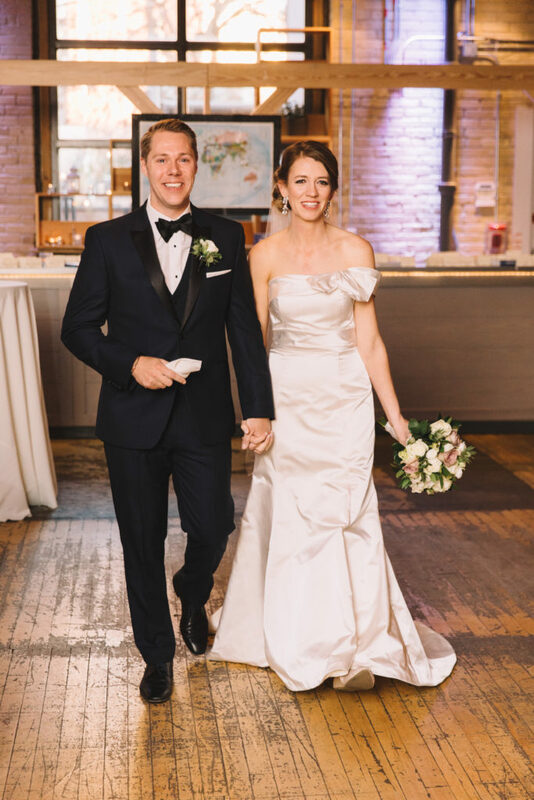 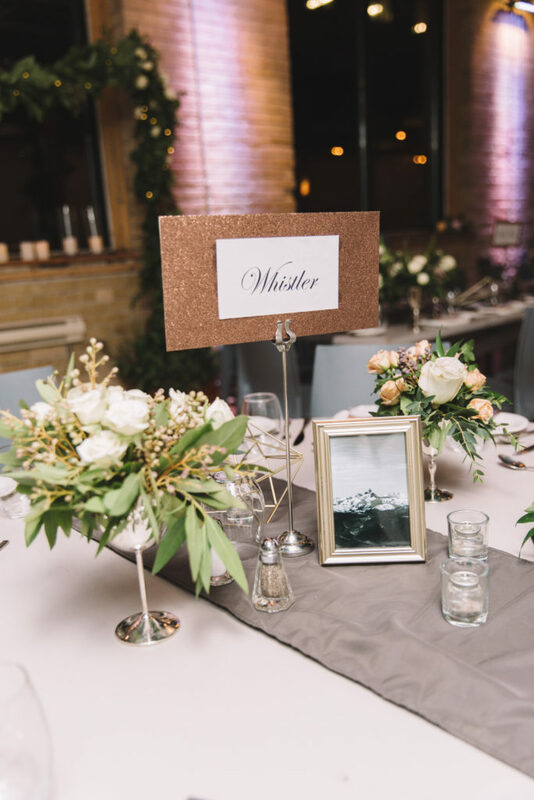 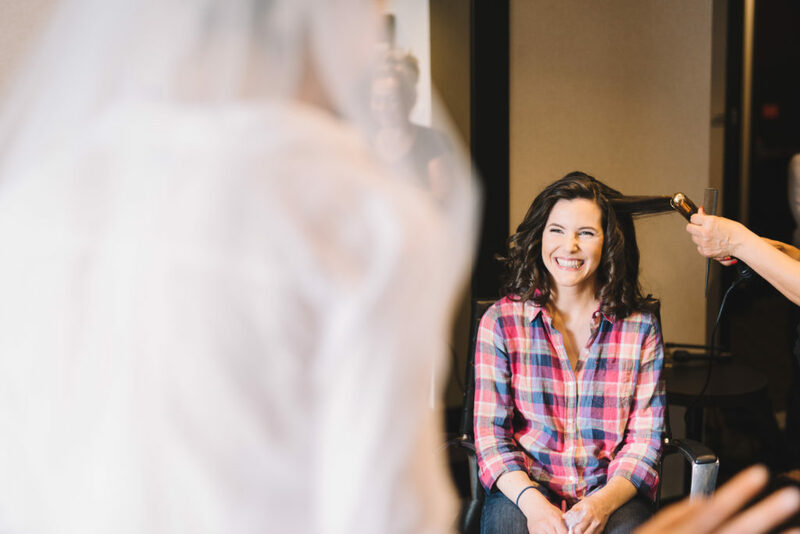 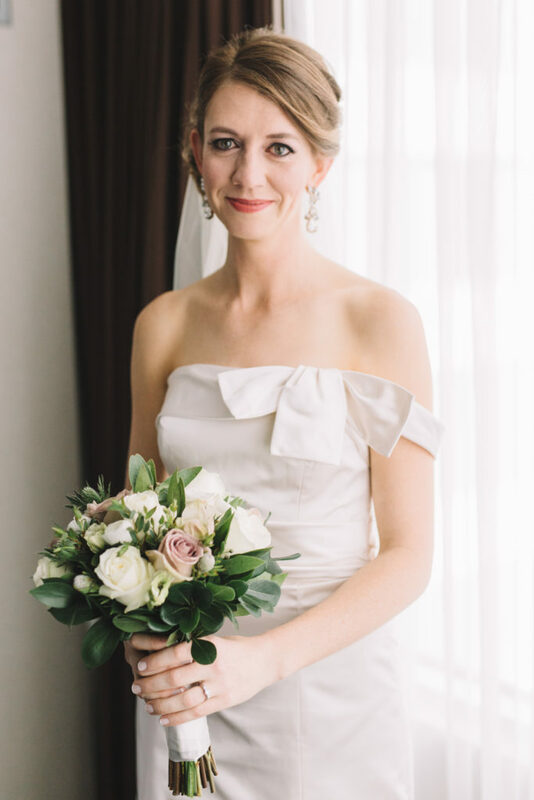 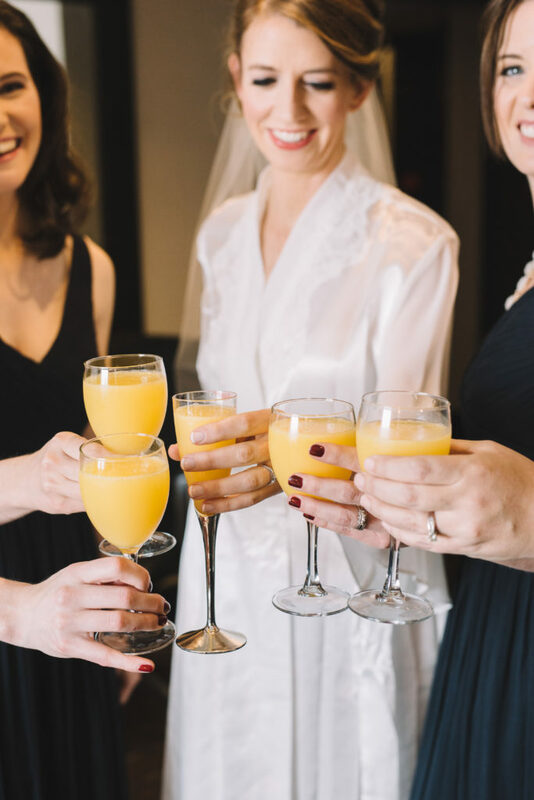 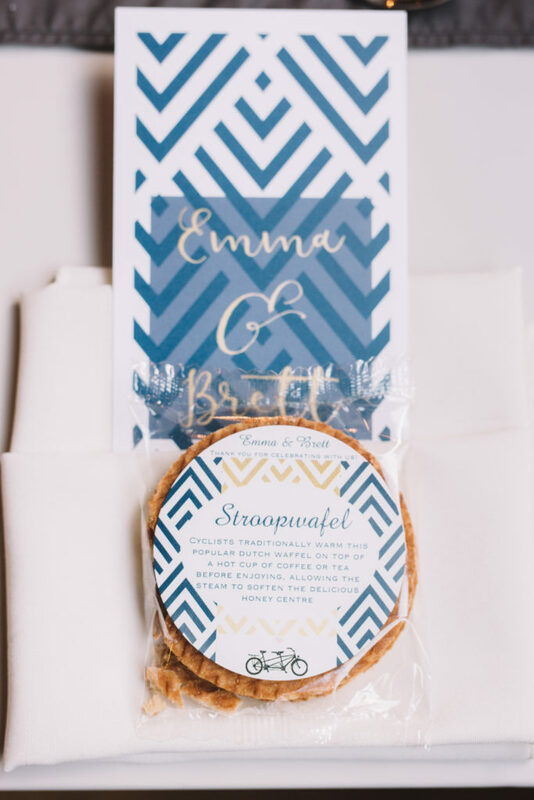 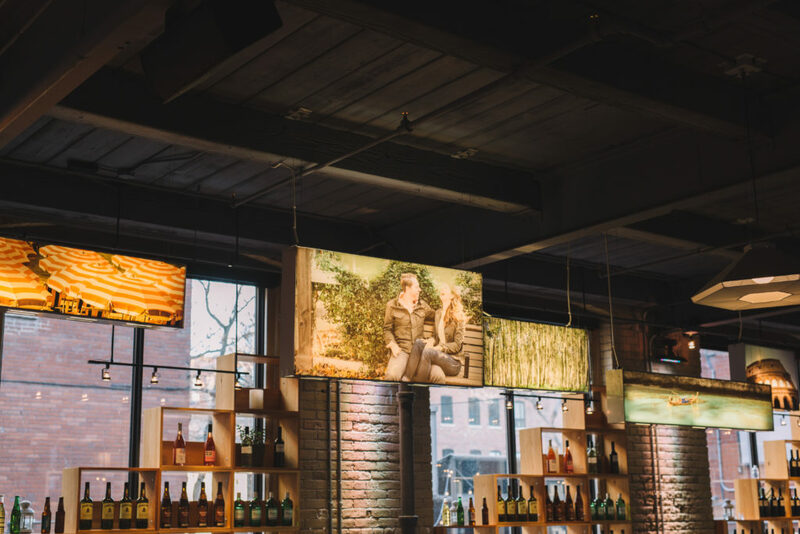 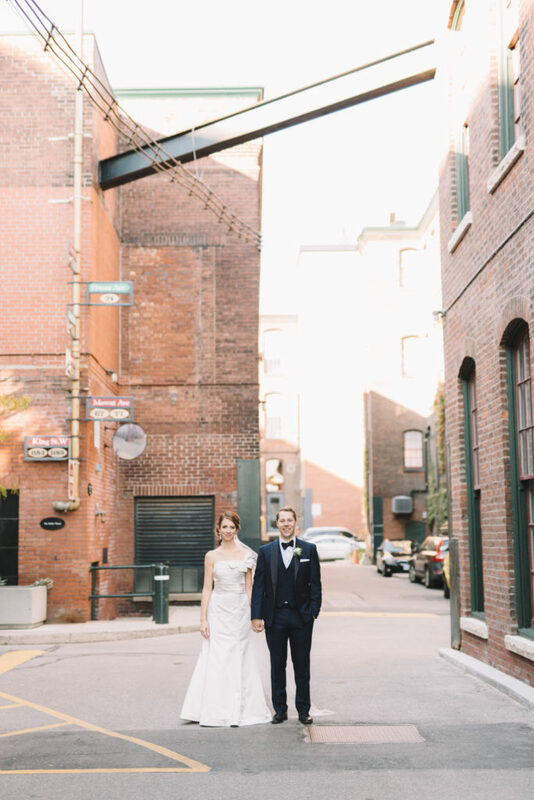 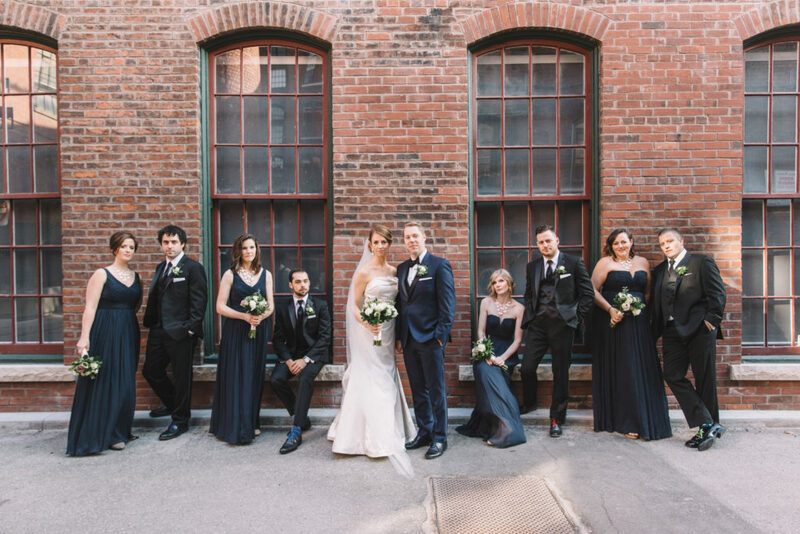 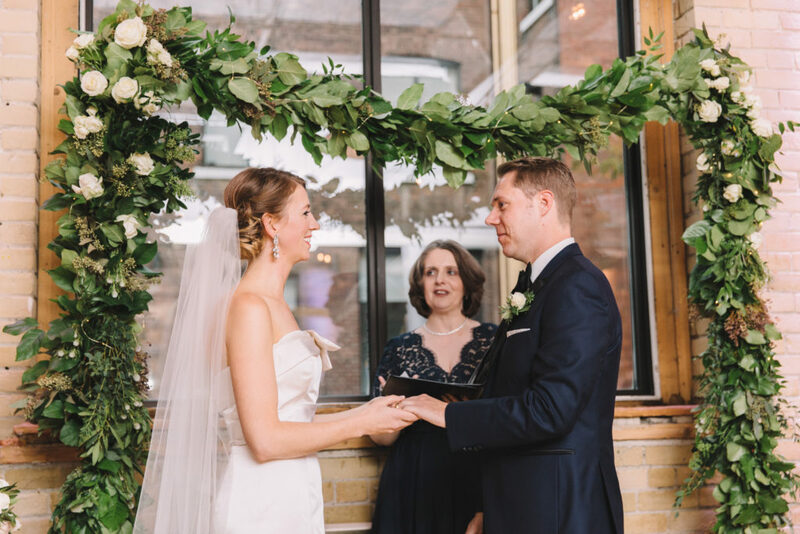 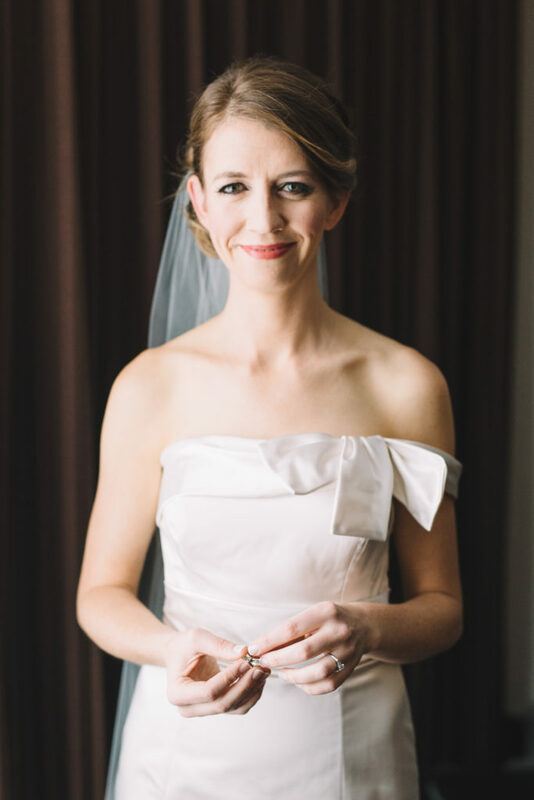 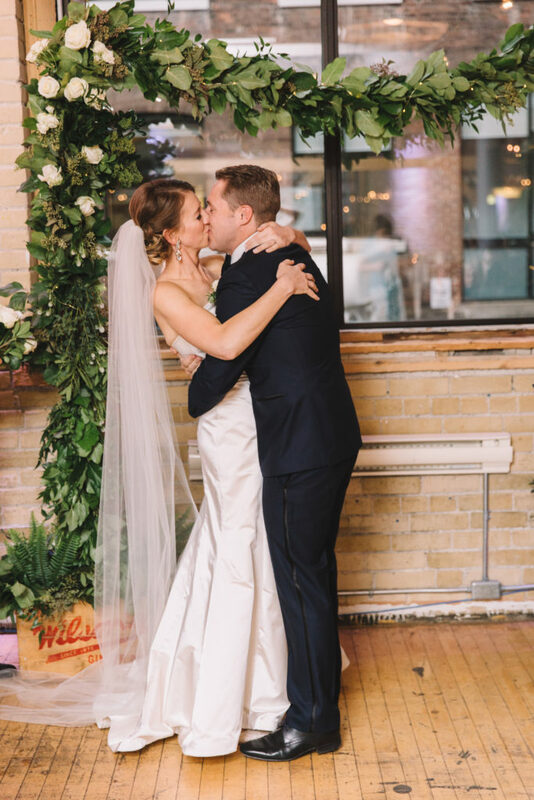 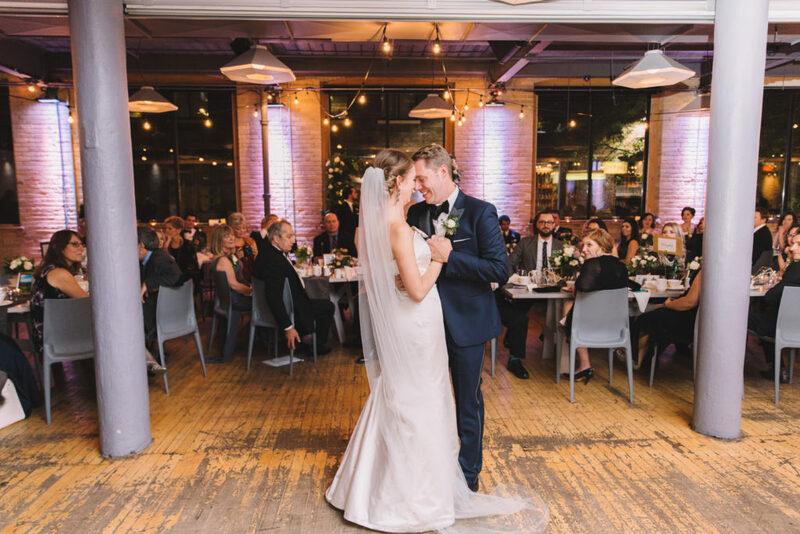 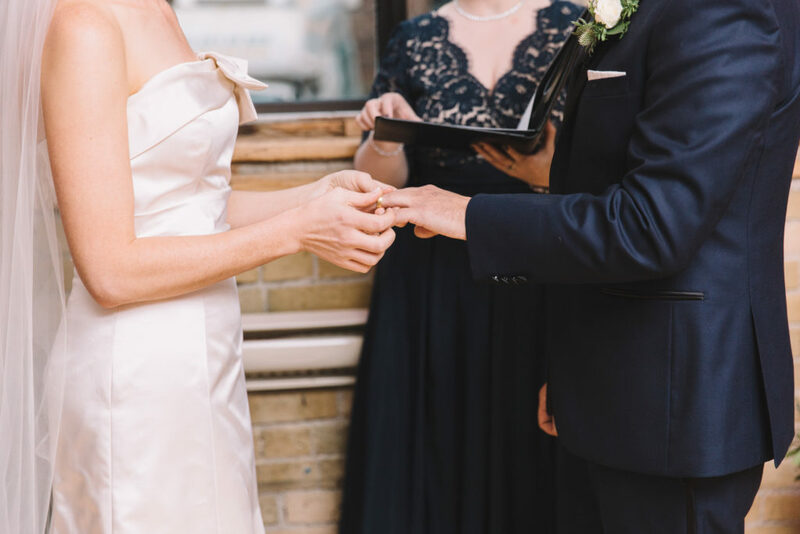 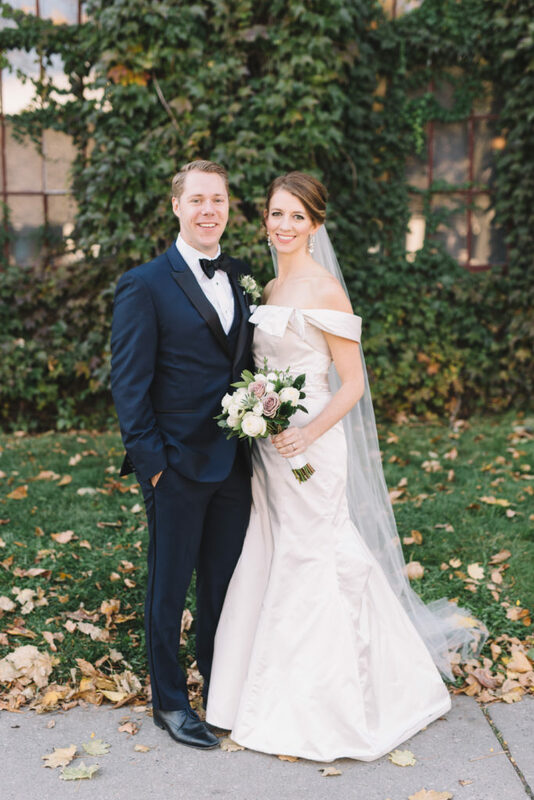 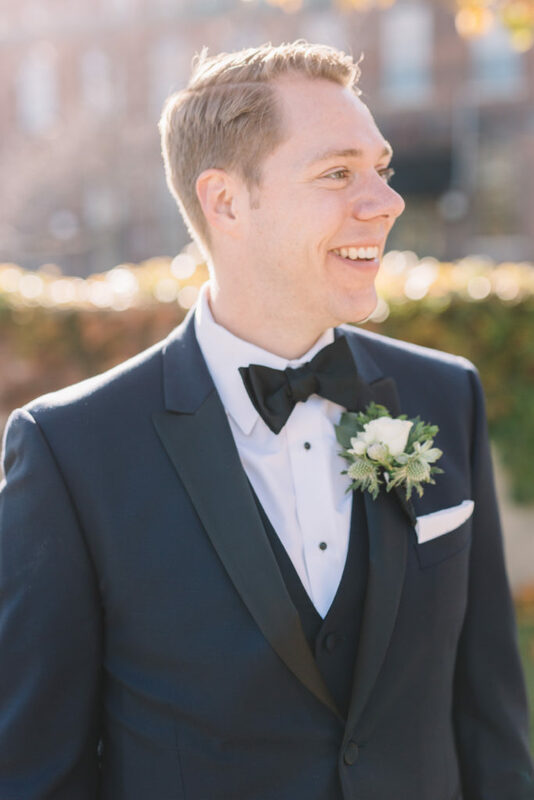 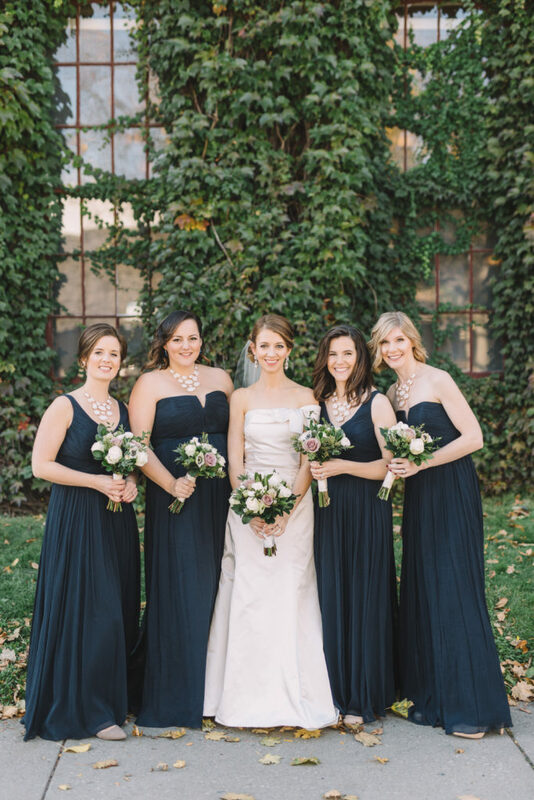 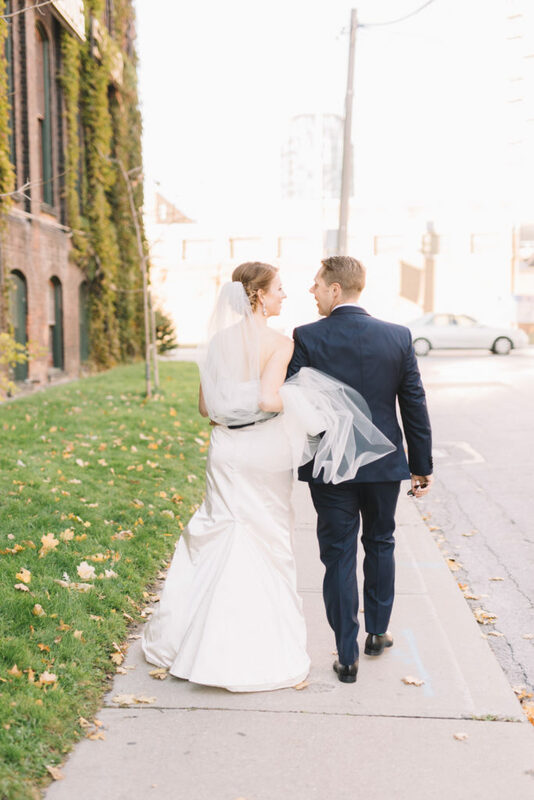 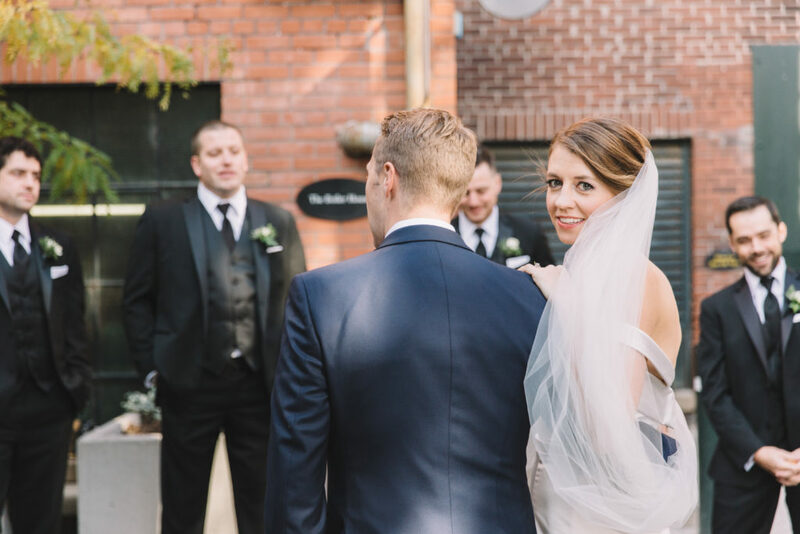 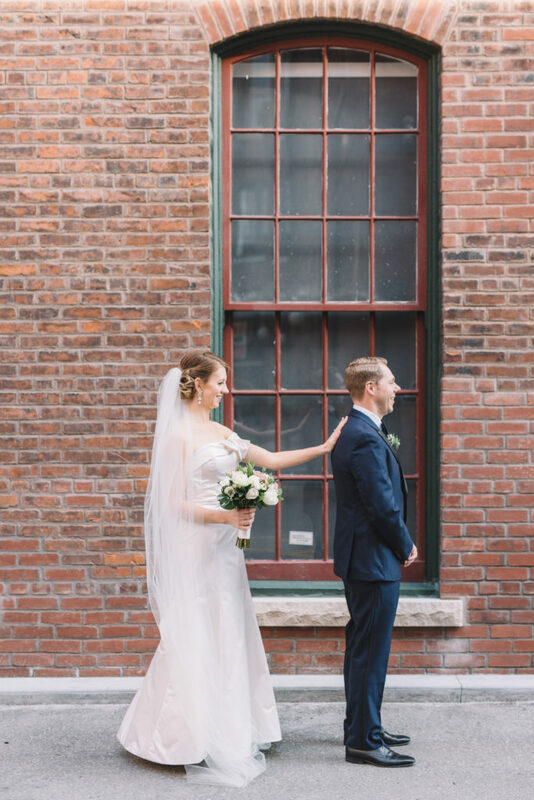 I was first contacted by Emma about her Liberty Village and 2nd Floor Events wedding a couple of months before their big day. 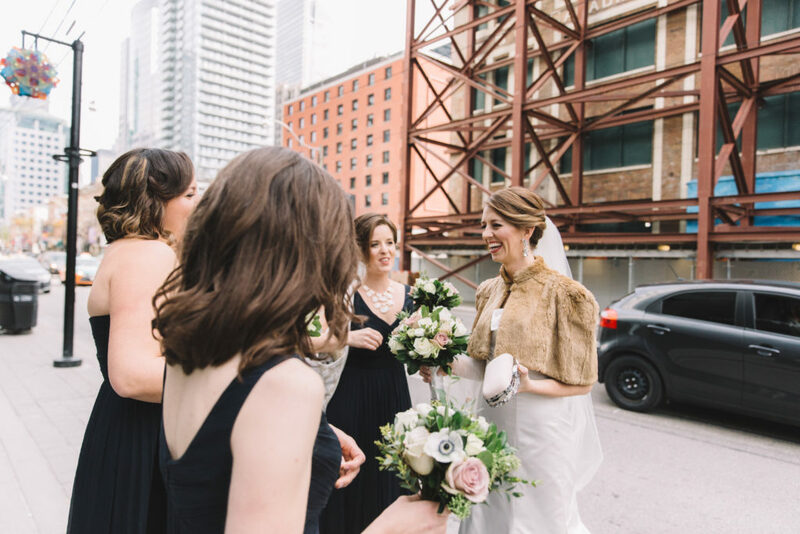 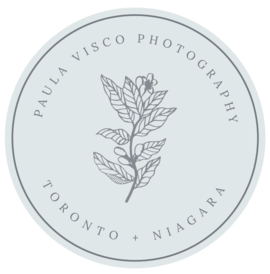 After meeting them at their house in the Leslieville area and getting to pet their adorable pup Ruban, I knew they were the type of people I would really enjoy working with. 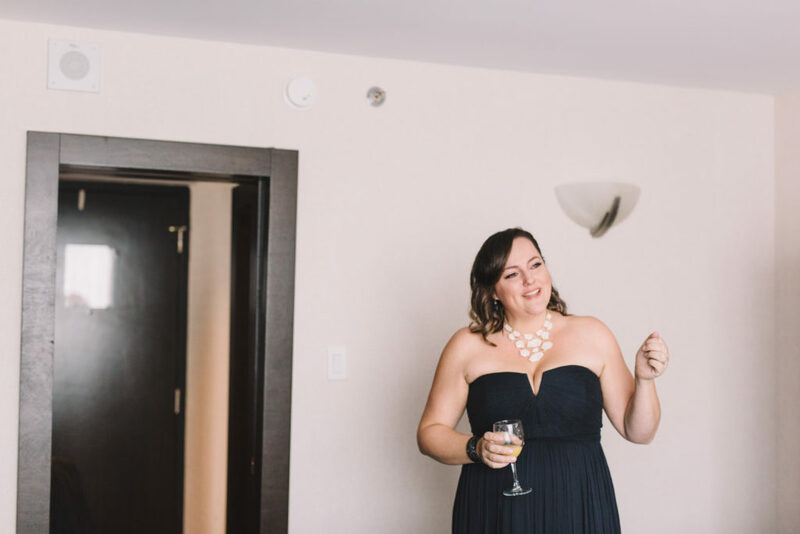 They’re both very laid back, kind hearted, and wonderfully chit chatty city goers who just wanted to have a good time on their wedding day. 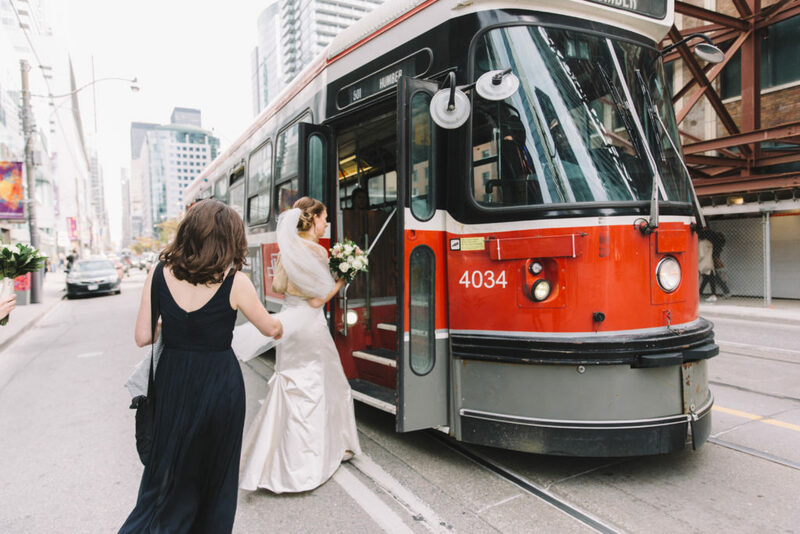 I was pretty excited when they told me they would be taking the streetcar to Liberty Village where we would be spending part of the day photographing in. 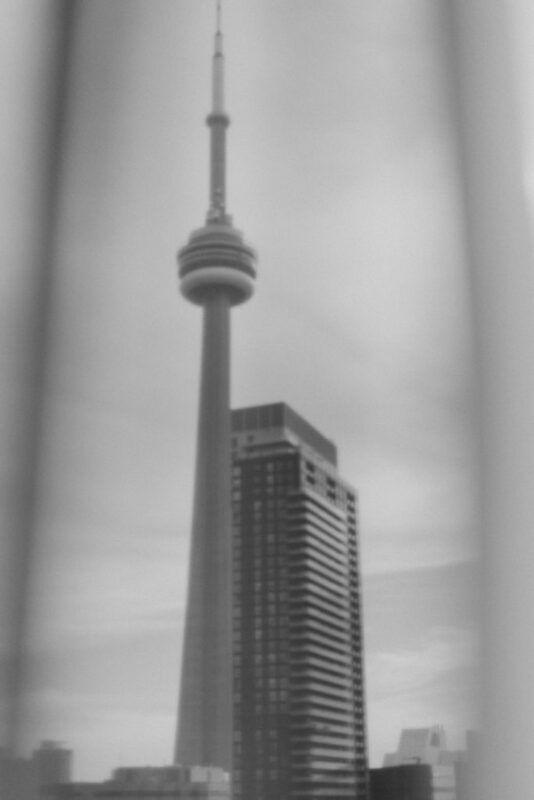 As a big Toronto city lover such as myself, getting to photograph them on the TTC has been on the bucket list for quite some time now. 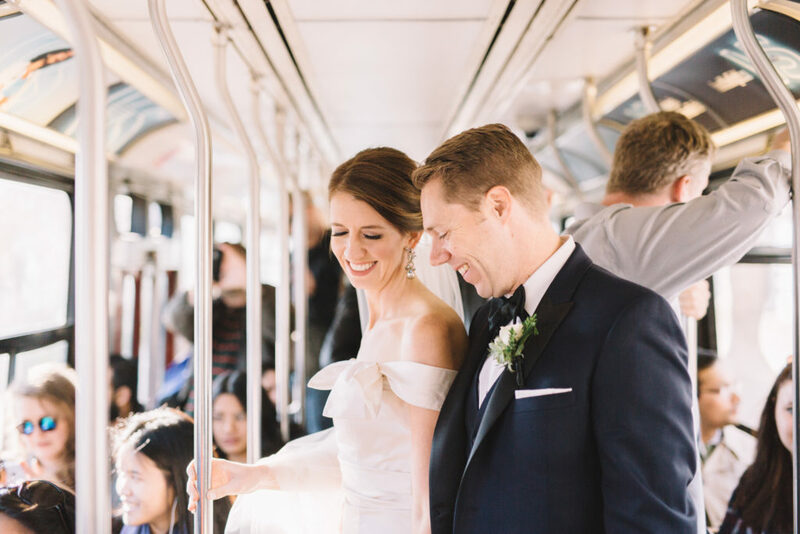 I always find Torontonians to be a kind and friendly bunch and that was evident in all the smiles and congratulations they got throughout the TTC rides. 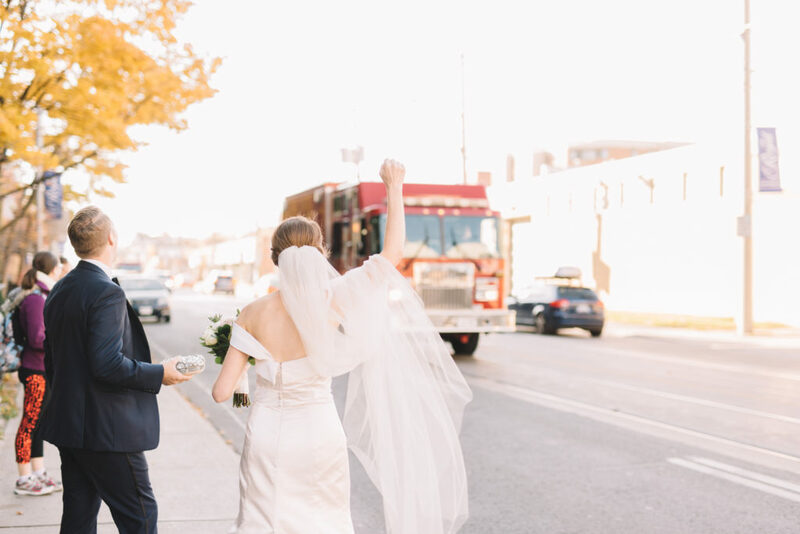 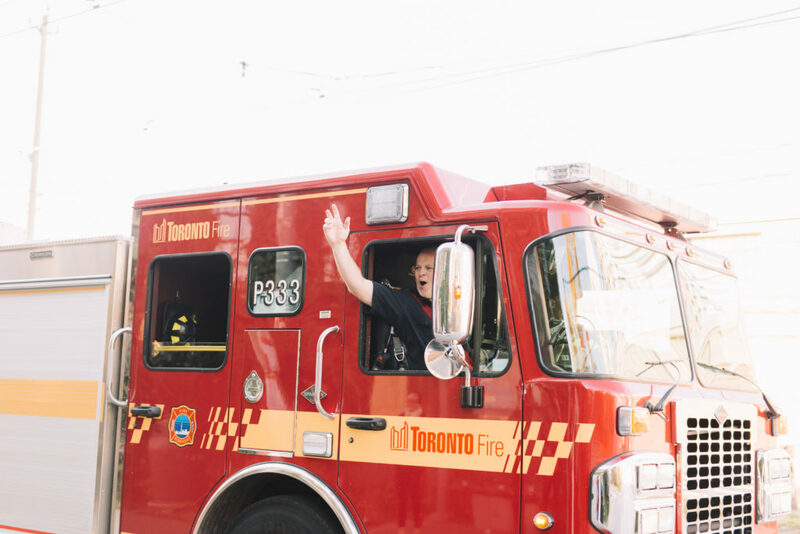 They even managed to get a few firetrucks to wave and honk as they passed by while we waited at the bus stop to get back to 2nd Floor Events for the ceremony. 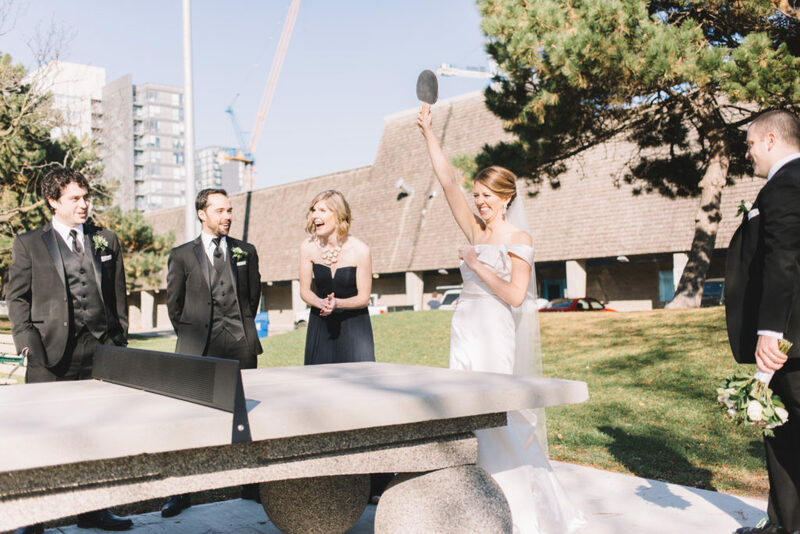 In Liberty Village, between taking photos and walking around we managed to squeeze in a quick game of ping pong which I thought was pretty great because that was definitely a first for me. 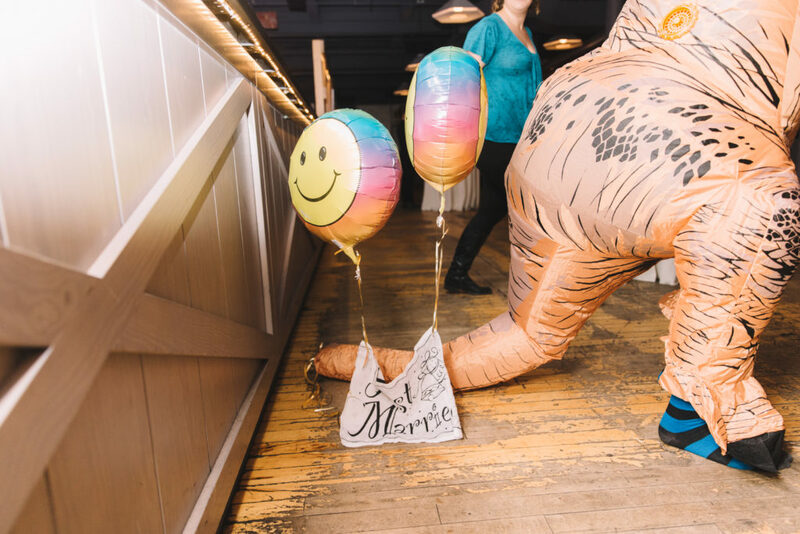 However, what topped that moment had to be Brett surprising Emma with a dinosaur blow up costume as soon as they walked back down the aisle together. 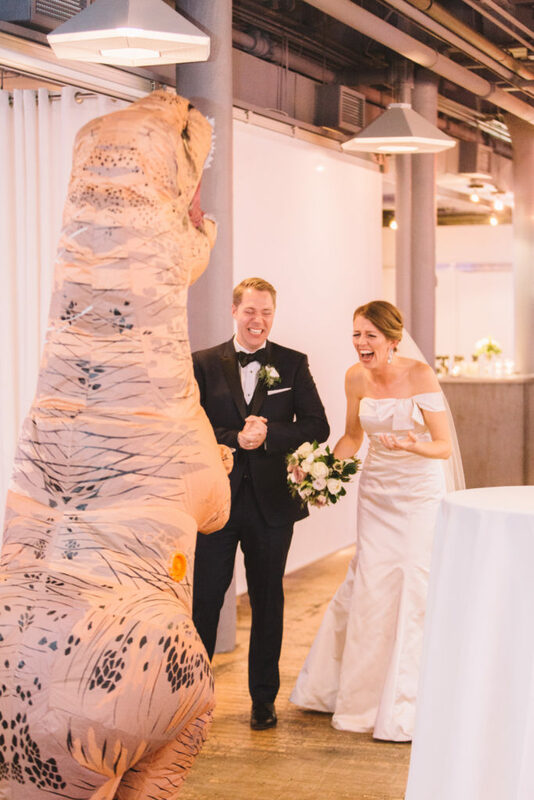 The look on her face and the amount of hysterical laughter these two were in when dino-man came out with a tray of drinks for them will be a wedding moment I will always remember. 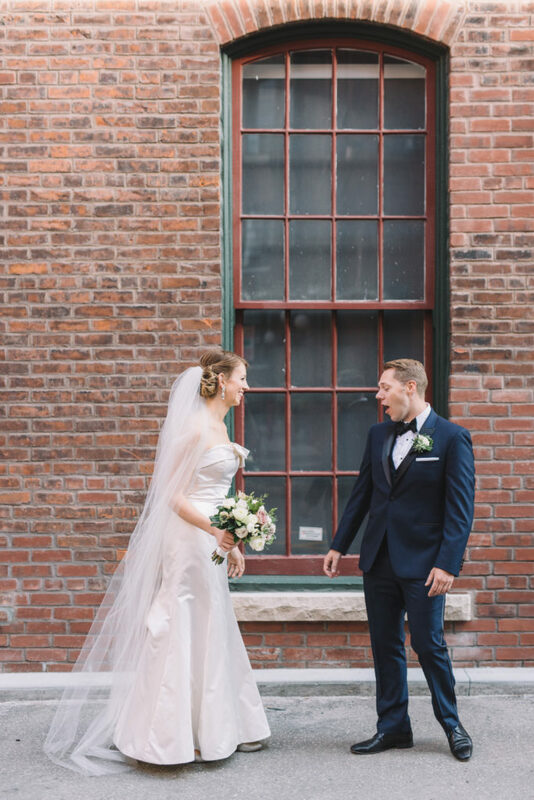 These two complete each other in so many ways but their sense of humour and their goofiness are the characteristics of what makes their relationship so special and unique. 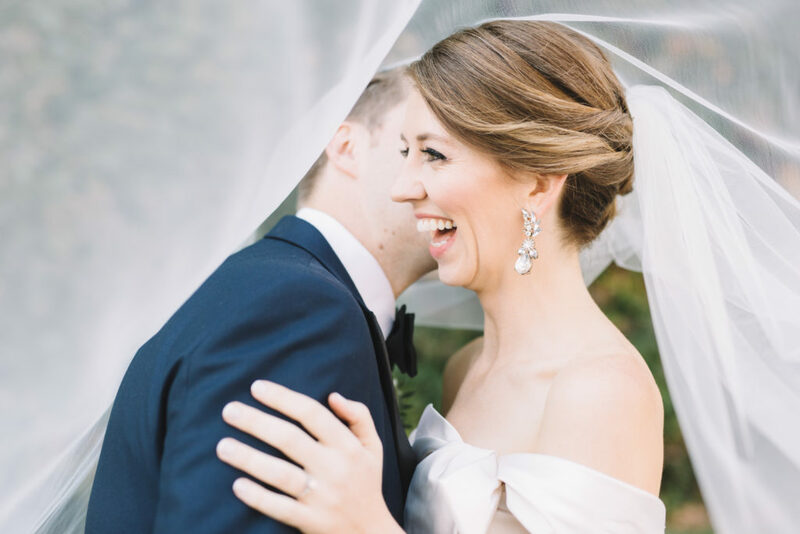 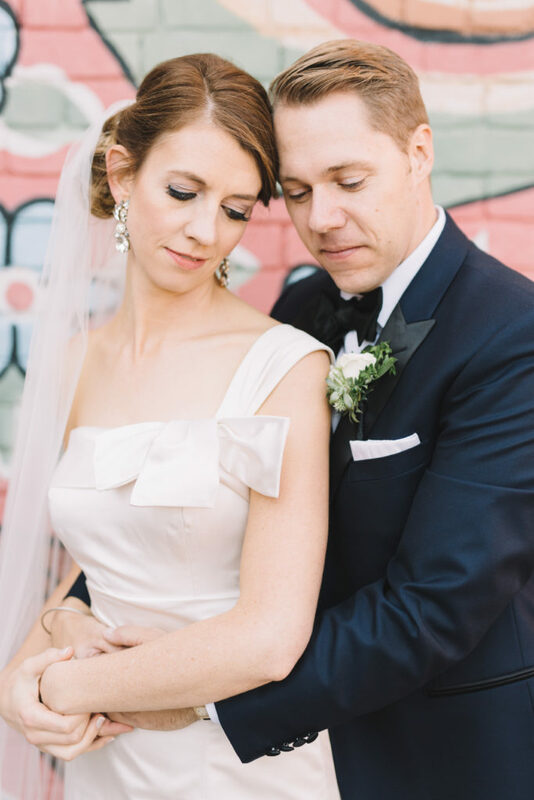 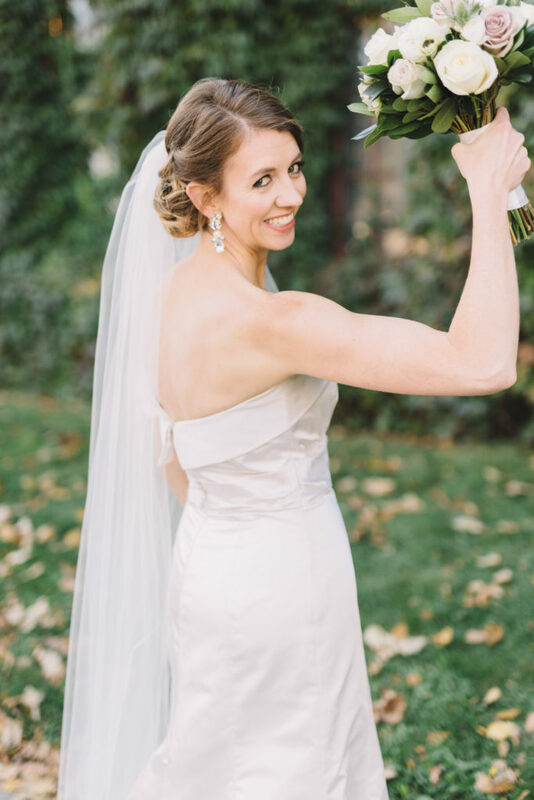 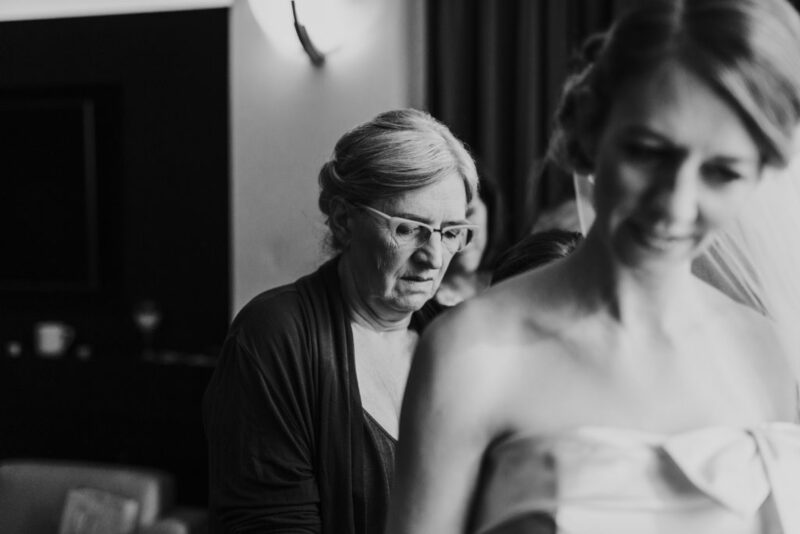 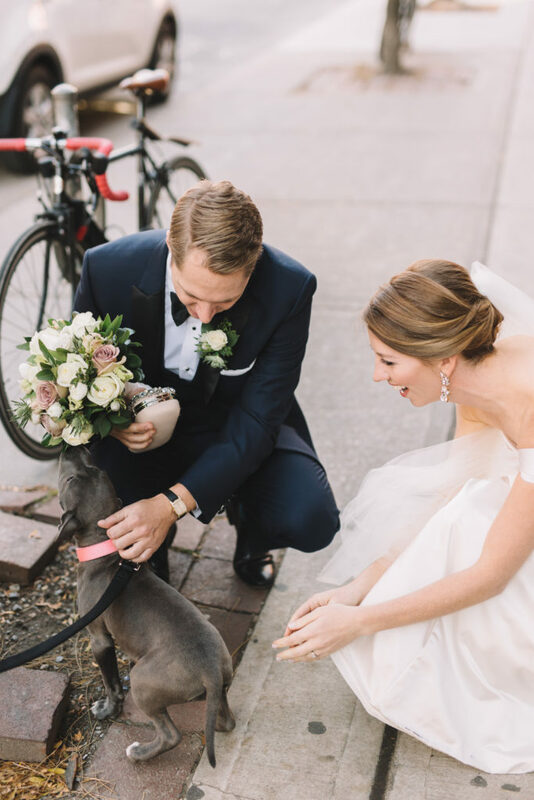 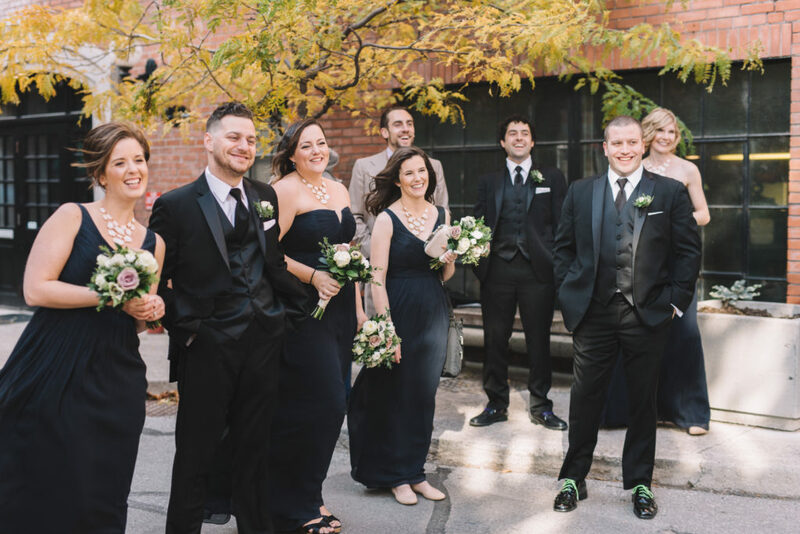 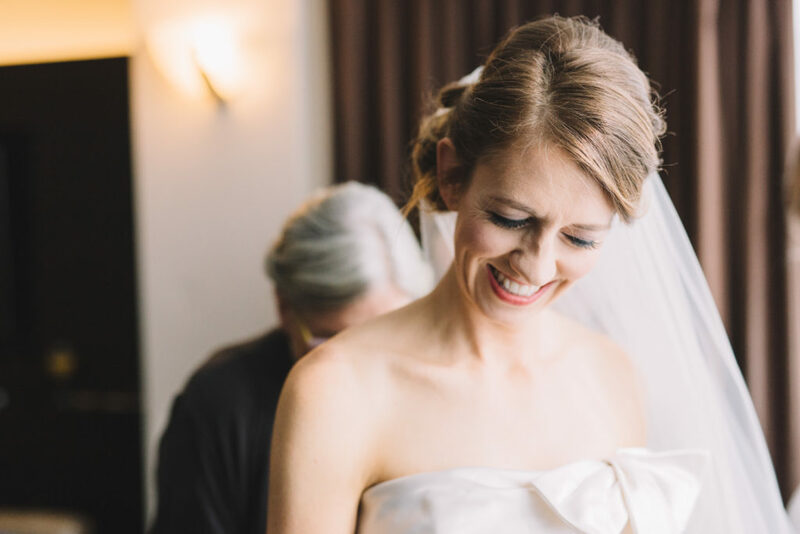 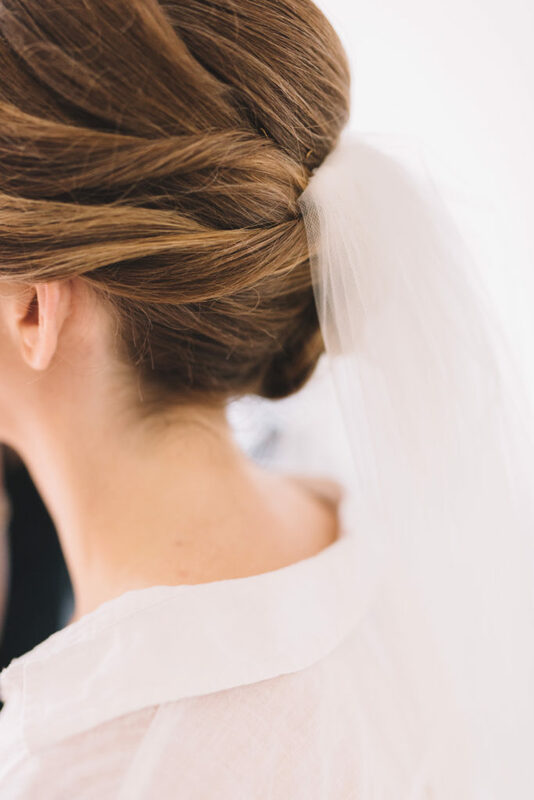 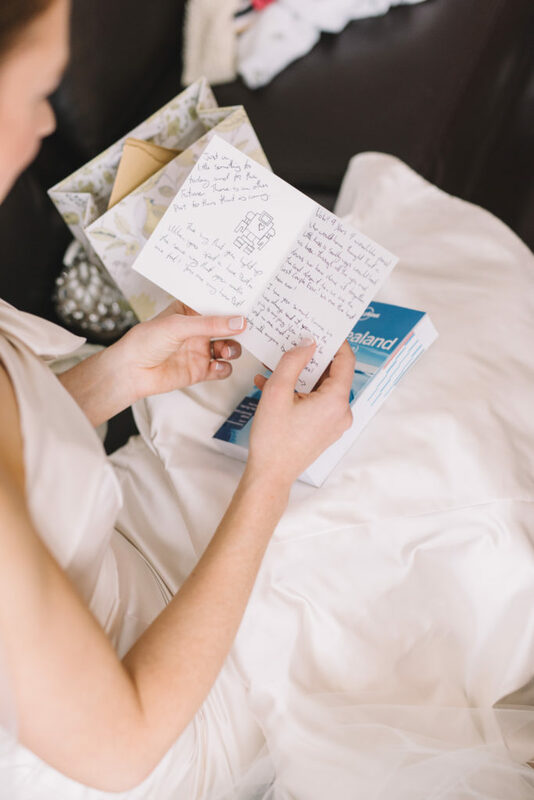 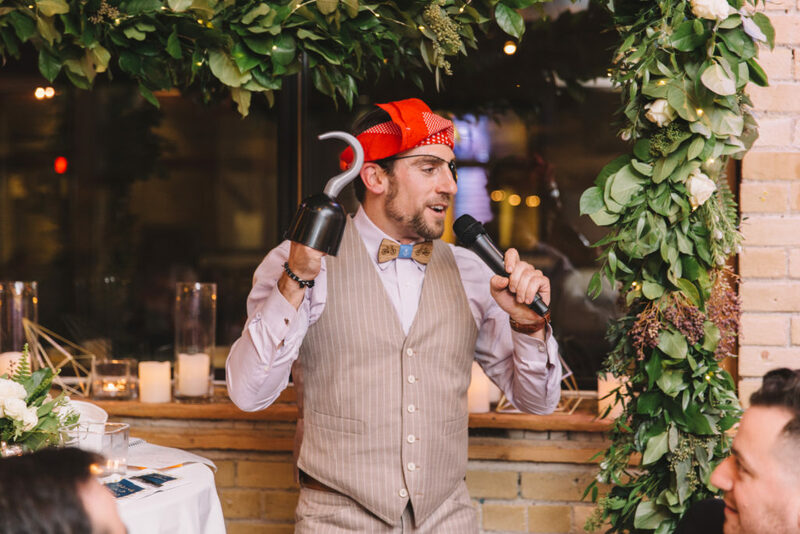 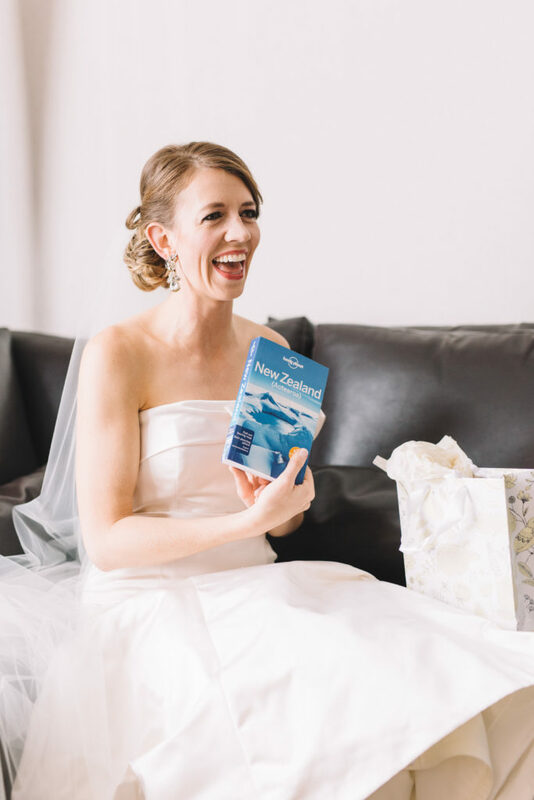 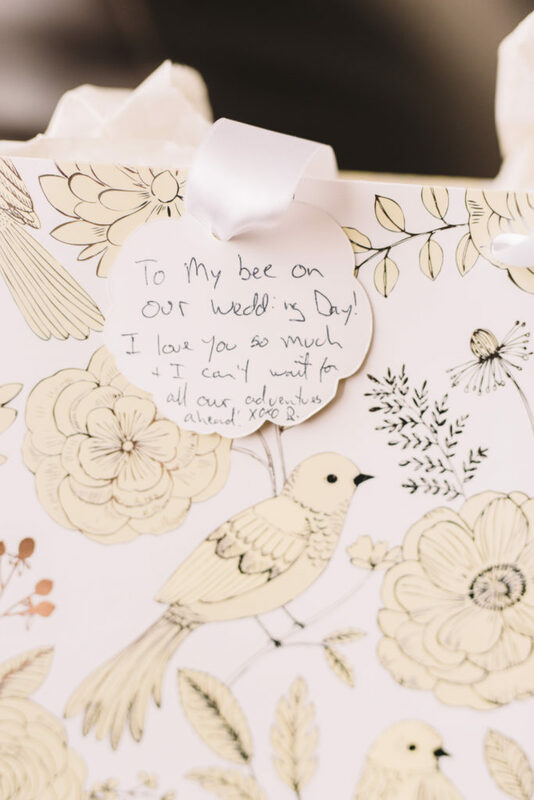 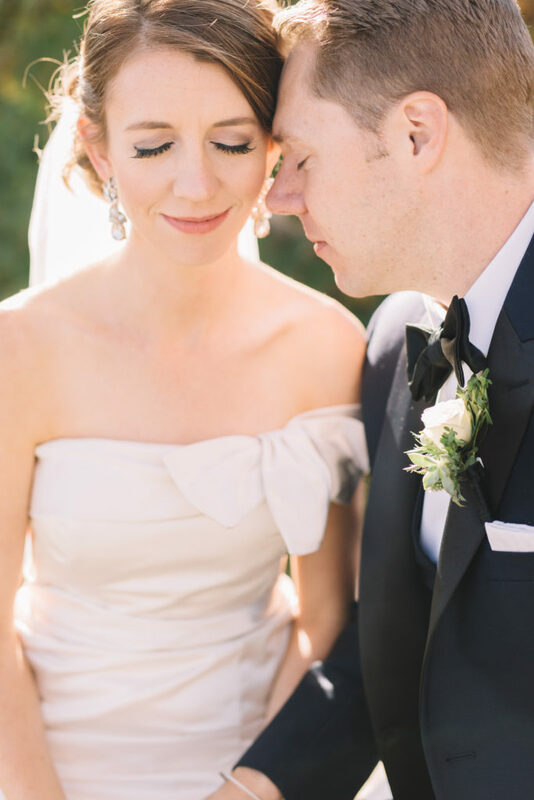 E+B – Thank you so much for trusting in me to document your crazy hilarious wedding! 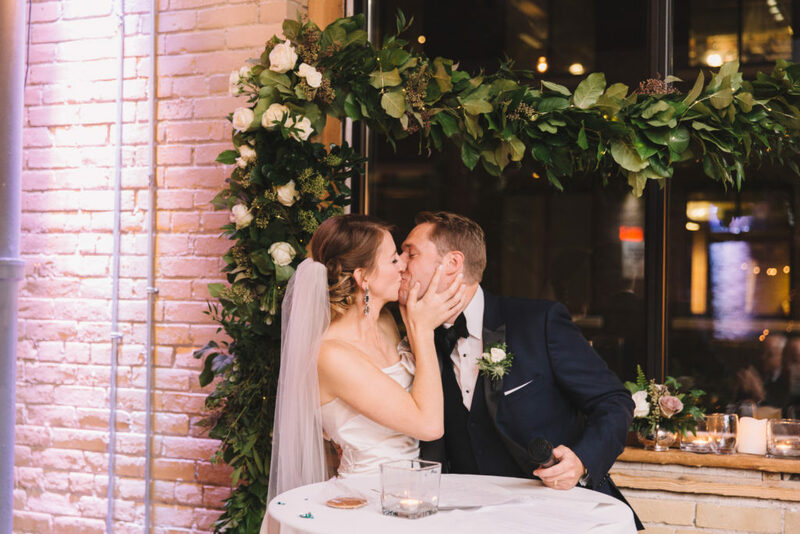 The energy and love that surrounded the day was beautiful and I am so happy that after many years together, I was able to be a part of this new chapter in your lives!